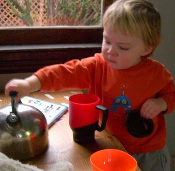 The Various Techniques Cookbooks provide miscellaneous examples of how to perform various network configuration tasks. 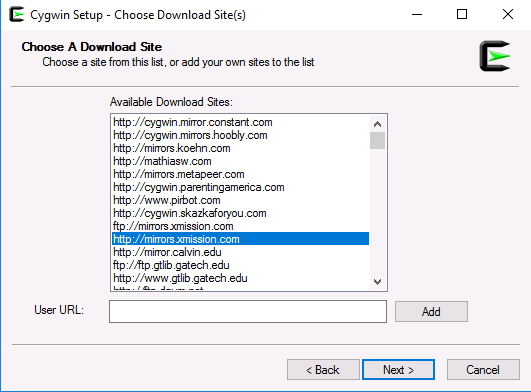 Each is a set of step-by-step instructions intended to help build your familiarity with network configuration in Linux and Windows. Goal: Allow LANforge to create its own wireless management network. In cases where is is not convenient to use an existing management network, LANforge WiFi systems can be configured to provide their own WiFi management network. This may be especially useful when testing in environments where LANforge needs to be moved around or where you have no good access to existing management LANs. This example assumes that you already know how to create and configure VAP and Stations in LANforge. 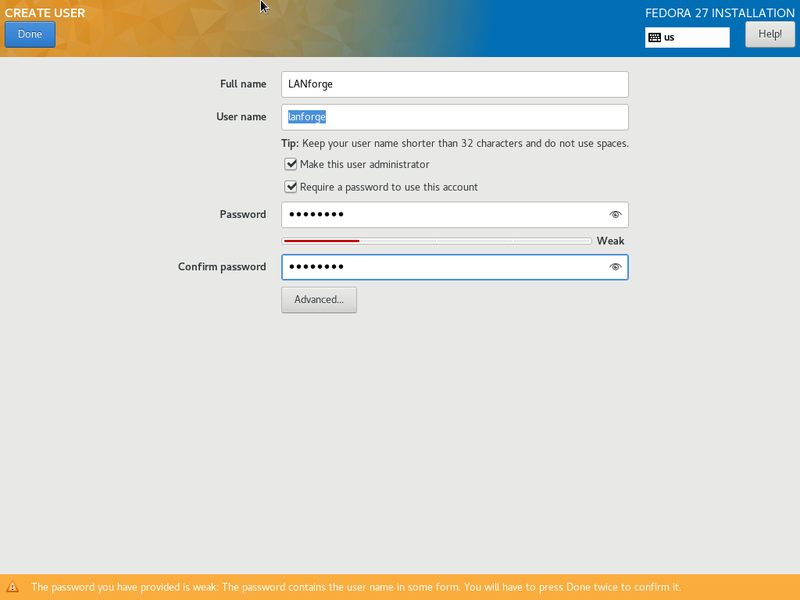 Configure LANforge for Auxiliary Management. In this case, we are using wiphy0 for the Aux-Mgt interfaces. 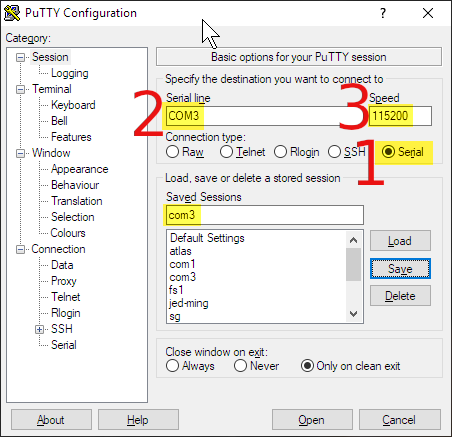 On the manager system, configure wiphy0 to be on the desired channel, create a virtual AP on wiphy0, and configure it appropriately. 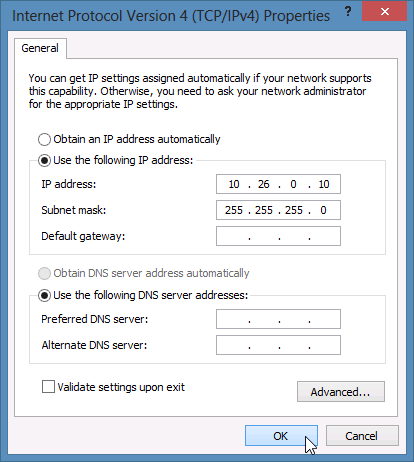 The Aux-Mgt checkbox should be selected, a static IP should be assigned, and an appropriate SSID configured. 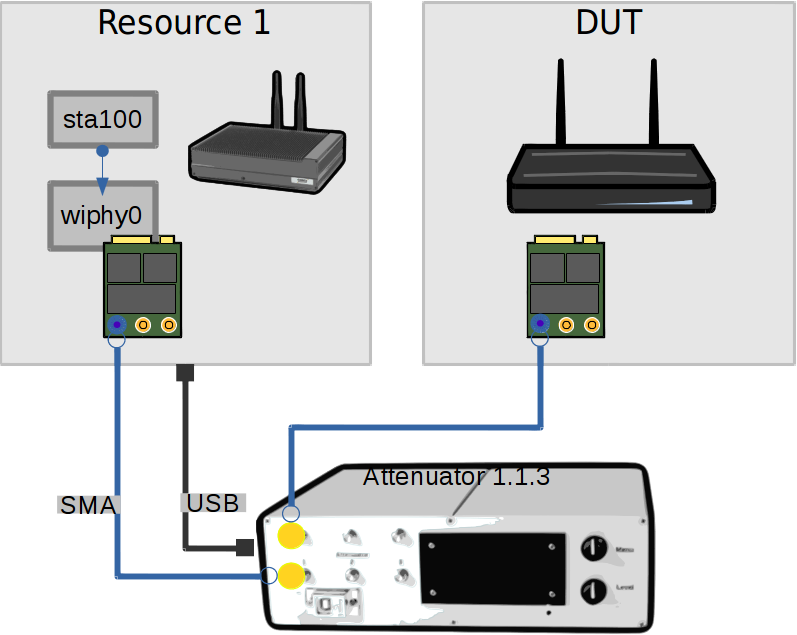 The AP Aux-Mgt port will automatically serve DHCP and will try to NAT and route packets to the wired Management interface. 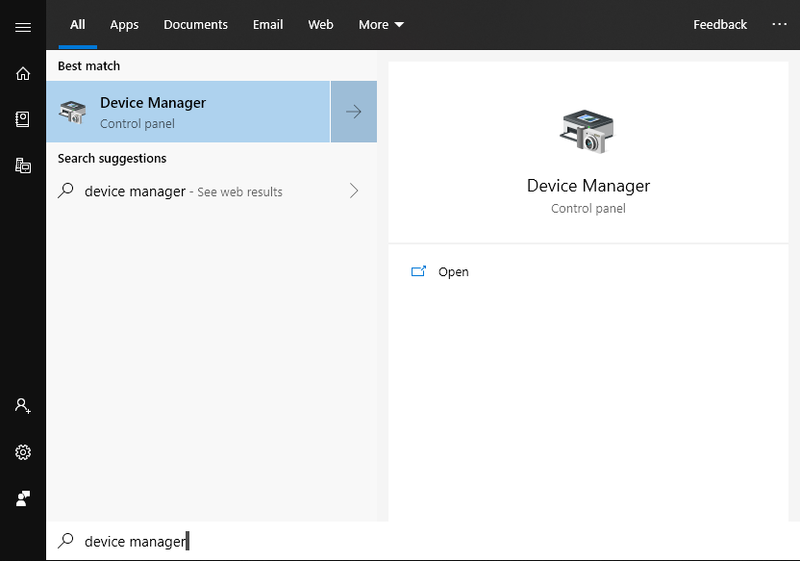 On the other resources, configure the wlanX interface to connect to the AP on the manager system, and select the Aux-Mgt checkbox. 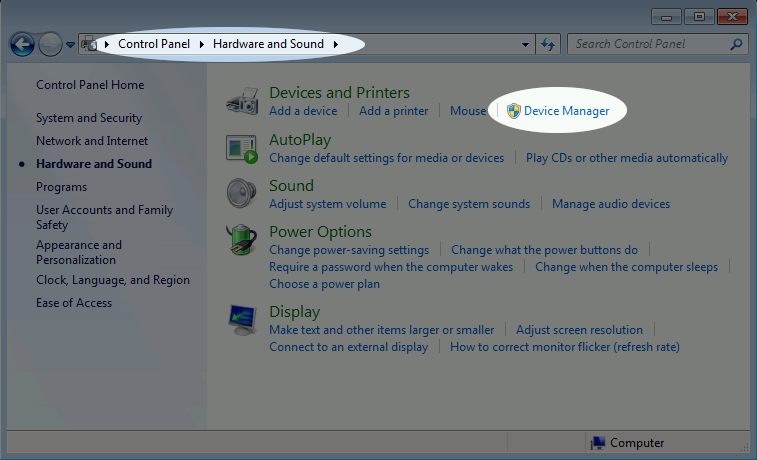 The Port-Mgr tab should look something like this when the Aux-Management interfaces are configured. 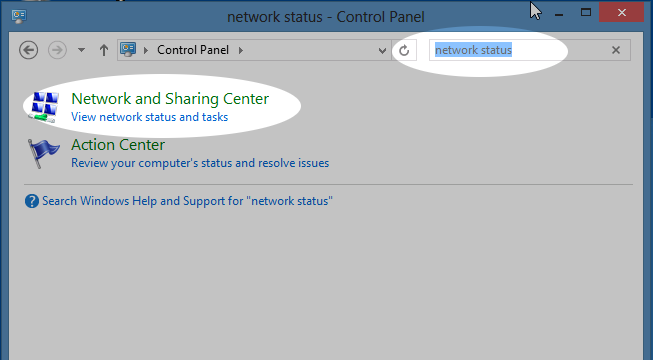 To test that it works properly, you can now remove the wired Manament port connection and wait about 1 minute for the old connection to time out and re-connect to the Auxiliary Management port. Or, just reboot systems with the wired ports unplugged and they should be discovered on the Aux-Mgt ports promptly. 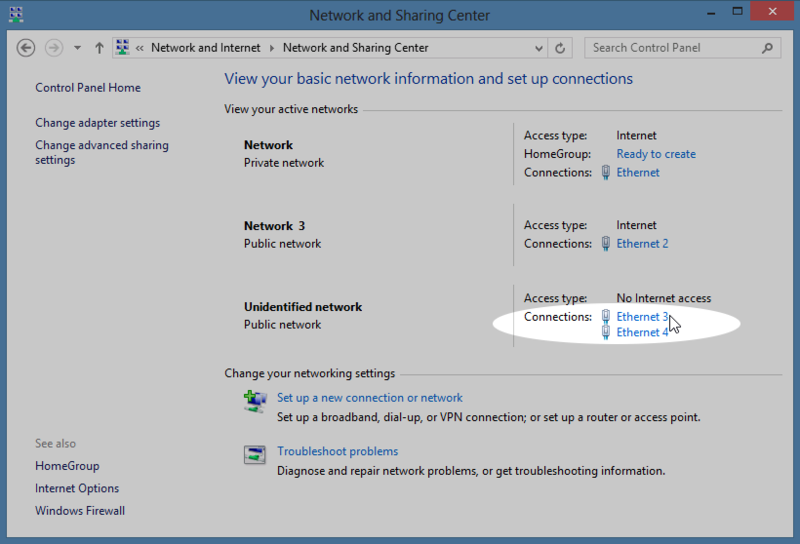 Goal: Find and change network ip addresses on Microsoft Windows. 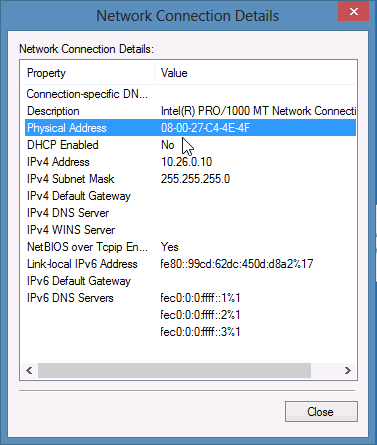 Here are some techniques for finding and setting IP addresses on Microsoft Windows using the Control Panel and the command line. Goal: Find MAC Addresses in Microsoft Windows. 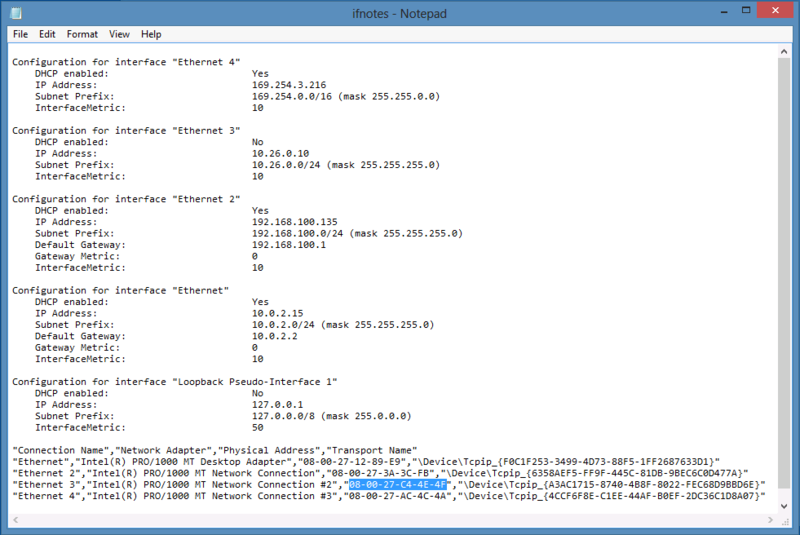 Here are some techniques for finding MAC addresses on Microsoft Windows using the Control Panel and the command line. (Suggested) Set the IP address if you have not already. 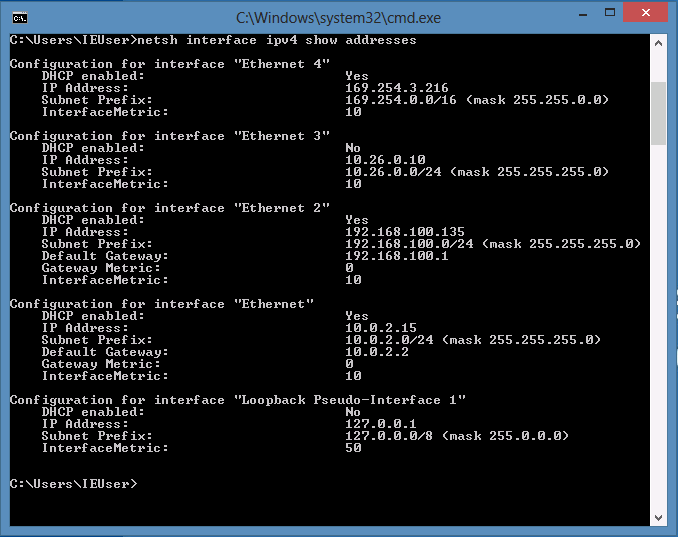 (Optional) Depending on the edition of Windows, the command netsh lan show interfaces will display mac addresses. 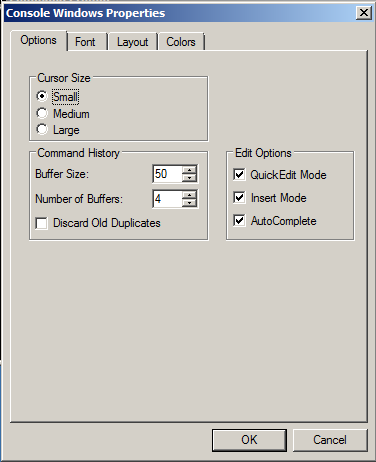 Goal: Make your DOS windows large and do cut and paste easier. 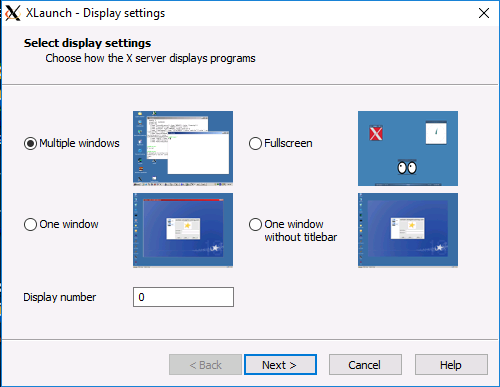 Here we review DOS window settings that will help you to work faster. Select the Quick Edit Mode setting. 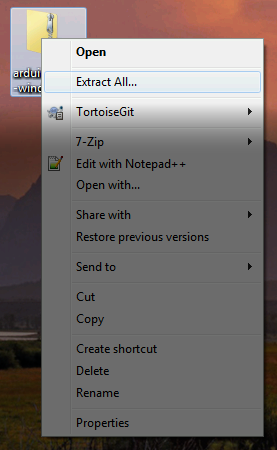 This allows you to highlight text in the window easily. Click OK to save. The next DOS window you open will appear with your customized settings. Use this technique to inspect your DOS environment variables for specific strings using findstr. If perl is installed correctly, you should have it in your path. 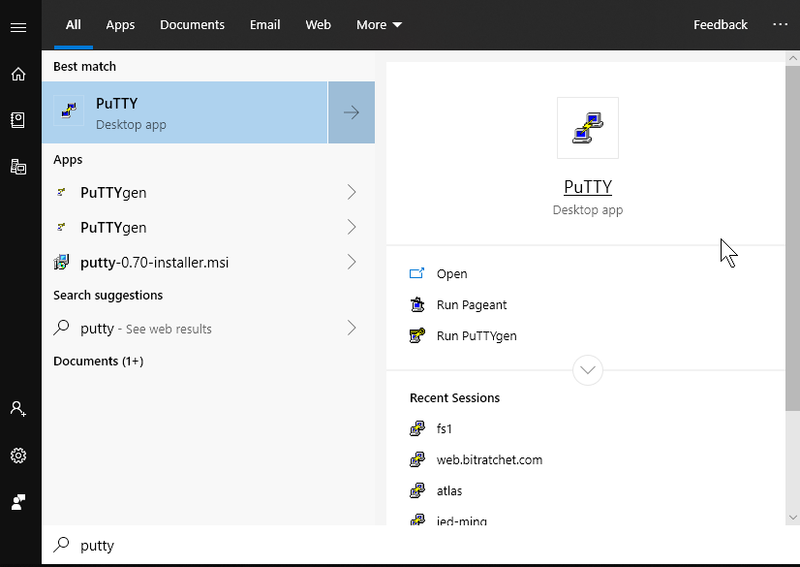 Goal: Using PuTTY on Windows to connect to LANforge Linux servers. Lots of tasks, like scripting, can be done over SSH from your Windows desktop. 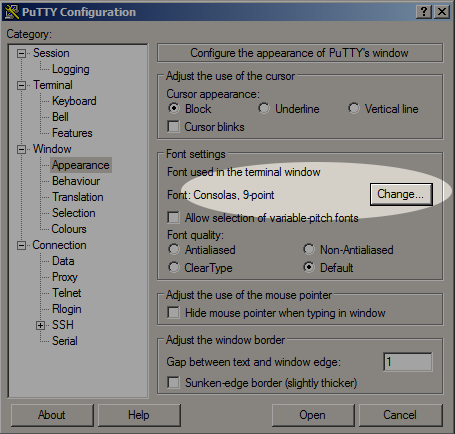 Here are a few steps to help you customize your PuTTY terminal to work faster. 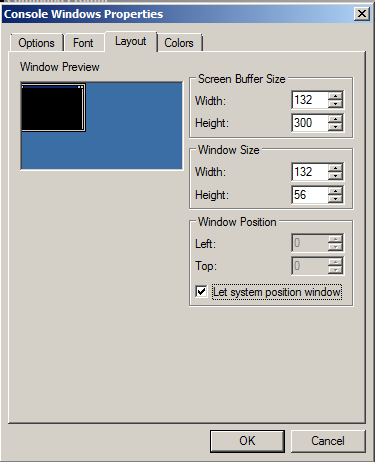 Let's default the window to something large, like 120 columns and 56 rows. 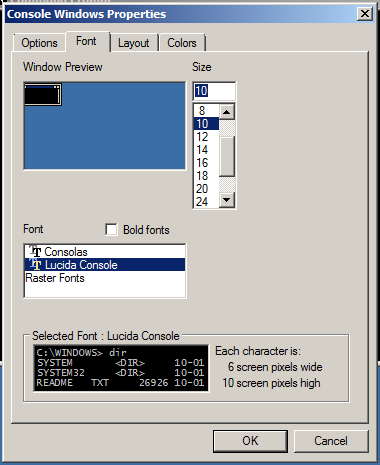 The Fixed font can be replaced with the Consolas font. 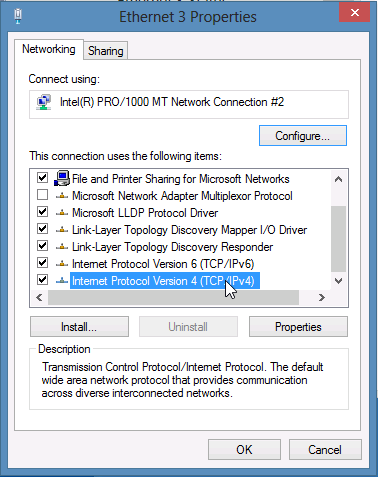 Let's turn on TCP Keep-alive and set IPv4 as the default networking protocol. Generating a SSH keypair is not difficult. 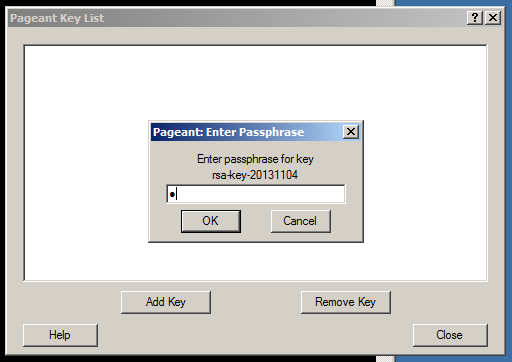 Let's enter the path to our public key file. Create your own public ssh key. Start Pagent. Configure it to load on startup. 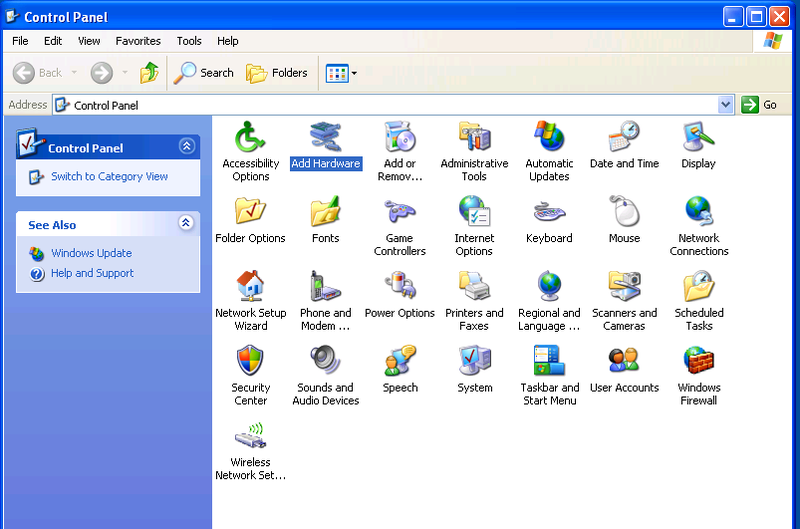 In the System Tray you will see the Pagent icon. Here is our key, we will view the .pub file to copy out the public key. 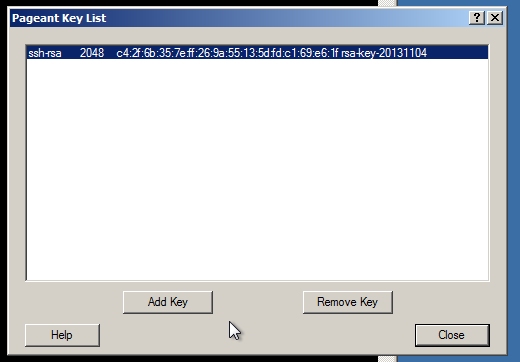 Here is the public key string, with newlines and spaces removed. The Comment text goes at the end. The next time we load the jedtest PuTTY session we should not be prompted for our password. 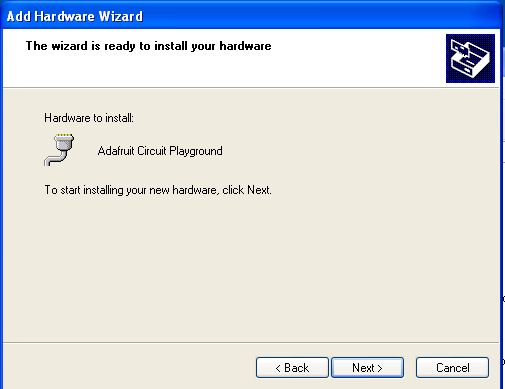 Goal: Installing the the Arduino Mega device driver on Windows XP. 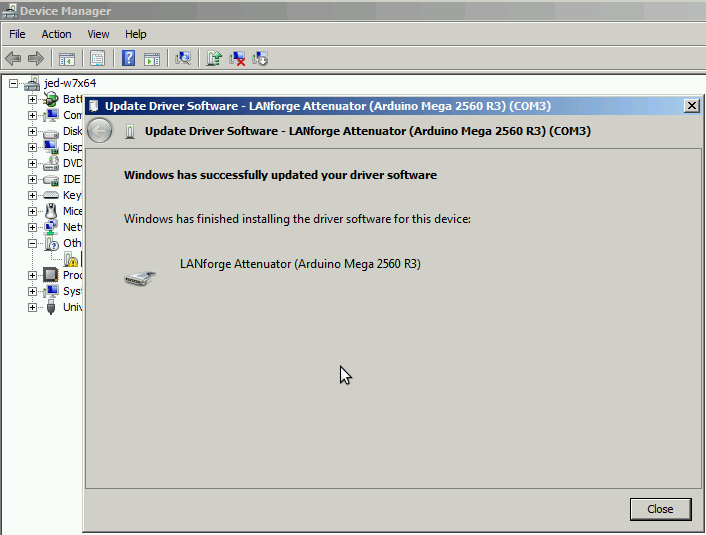 The automatic driver install process for Windows XP might automatically install a Microsoft Windows version of the Arduino Mega driver. This is not the driver LANforge expects. 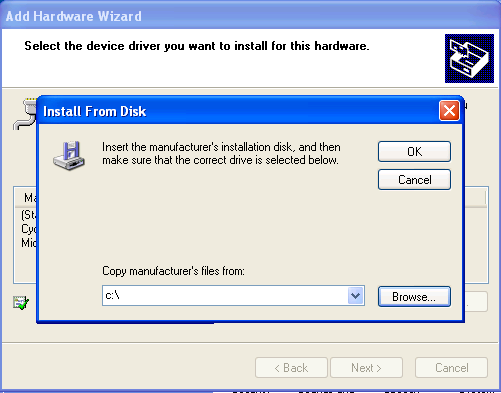 These instructions will guide you how through uninstalling an old driver and installing the new driver. 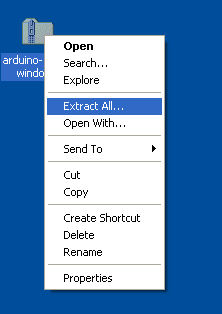 Download the Arduino IDE zip file to your desktop. 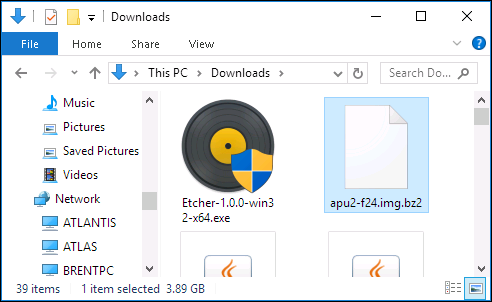 Use Right-click→Extract All... to expand the contents to a folder on your desktop. 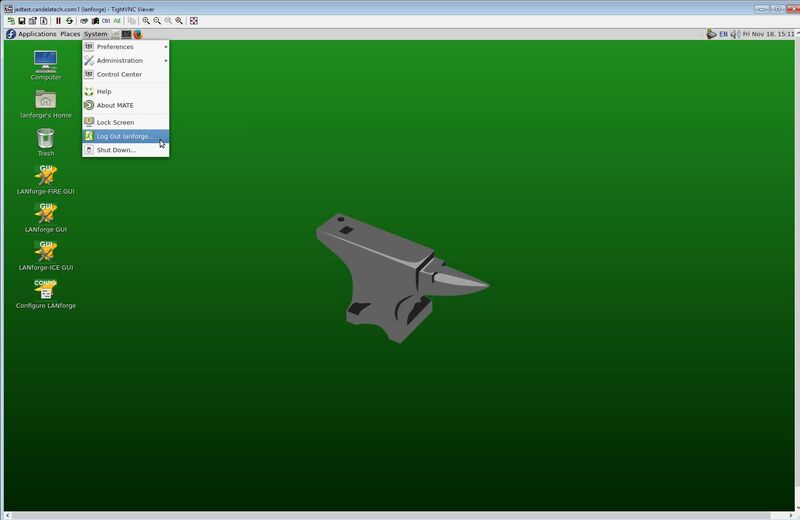 Click Start→Control Panel and choose the Add Hardware option. For LANforge to recognize the new attenuator, restart the LANforge server on the machine that has the attenuator connected. 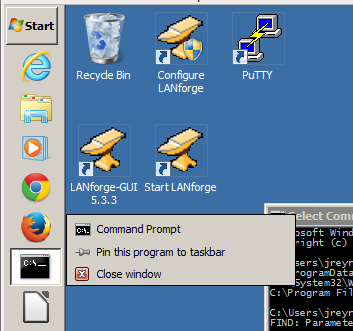 On Windows, close the LANforge server CMD windows and then restart LANforge with using your desktop icon. 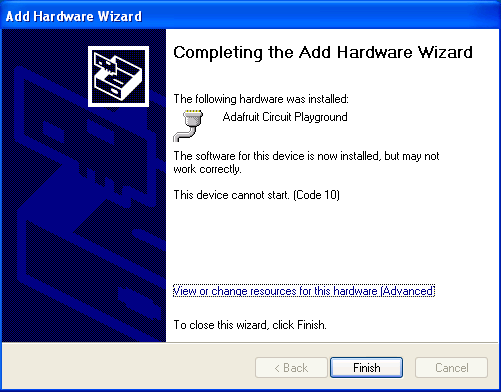 Goal: Installing the the Arduino Mega device driver on Windows 7. LANforge CT70x attenuators require recently signed Arduino drivers. 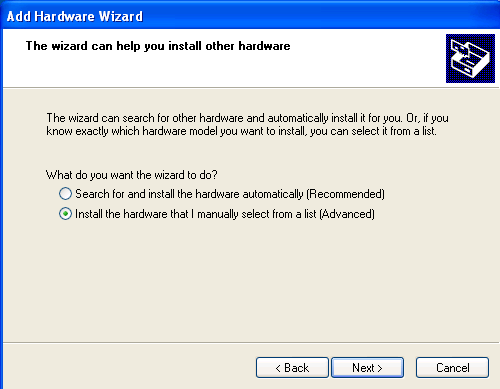 The automatic driver install process for Windows 7 might automatically install a Microsoft Windows version of the Arduino Mega driver. This is not the driver LANforge expects. These instructions will guide you how through uninstalling an old driver and installing the new driver from the Arduino website. 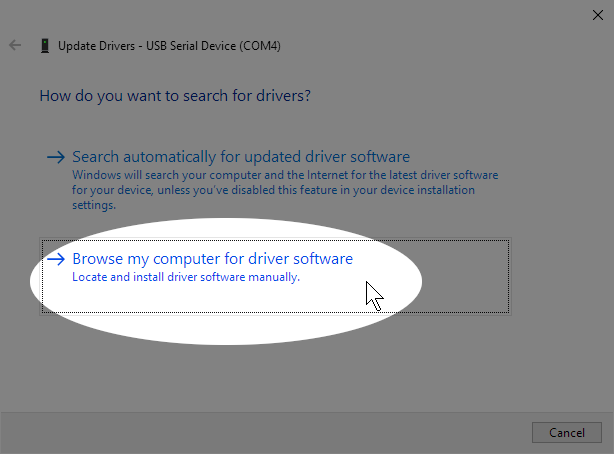 If you have recently removed a driver, you might need to reboot your Windows system for it to complete the driver installation process. You want to install the windows version of the LANforge Server beforehand. This process requires you to operate the Control Panel as Administrator. Some patch-levels of Windows 7 have secured this. A useful work around for this will be discussed shortly. There will be an Other devices→Unkown Device entry. Right-click on it. 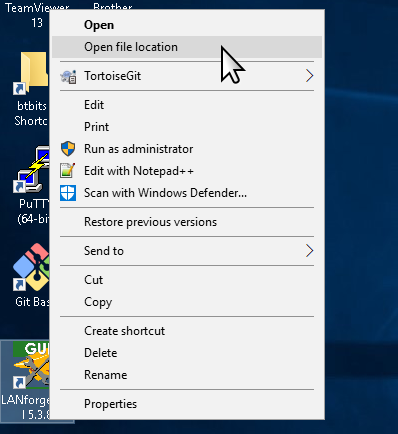 If the options menu only gives you either Scan for hardware changes or Properties, you might need to restart your control panel as Administrator, that is discussed next. 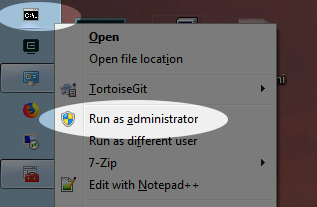 Using the Run as Administrator option to start the Control Panel in administrator mode. This works best with a CMD window pinned to the task bar. 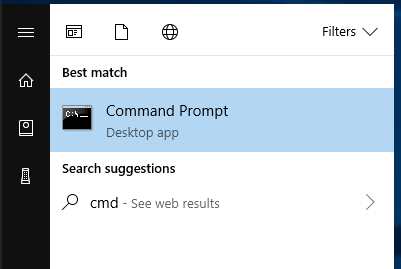 You can do that using Start Menu→ cmdENTER; and then right-click→ Pin to Task Bar option on the task bar icon for the cmd.exe window. You might need to un-plug and plug-in your Attenuator. 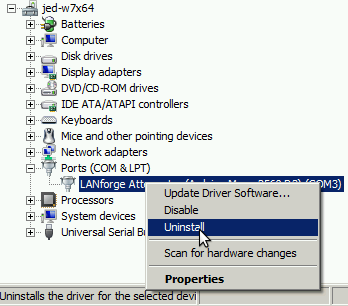 If the right-click options menu does not allow you to change drivers, reboot your system. You will see the Update Driver Software confirmation. Click Close. You should not need to reboot your system in order to run the Attenuator. 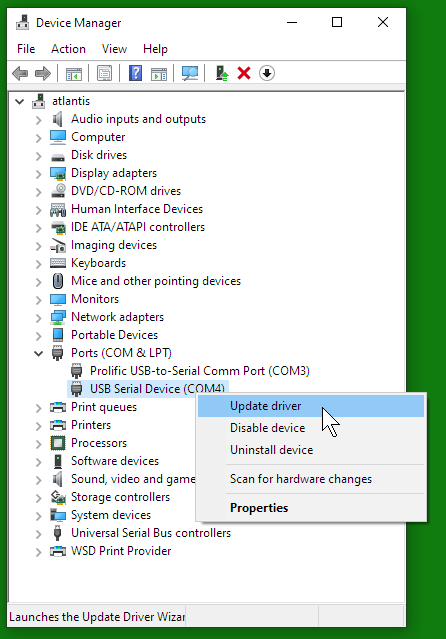 Goal: Installing the the Arduino Mega device driver on Windows 10. LANforge CT70x attenuators require recently signed Arduino drivers. 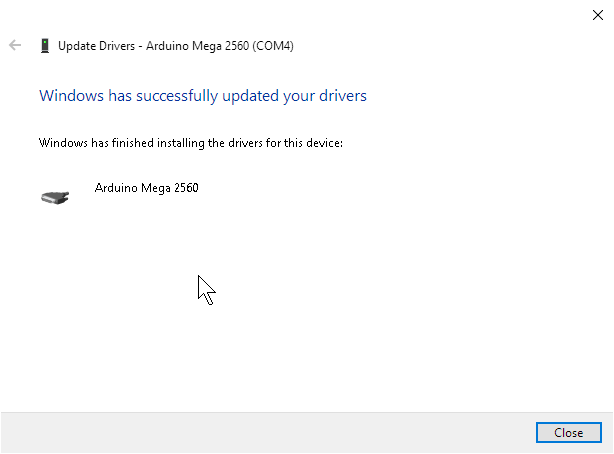 The automatic driver install process for Windows 10 might automatically install a Microsoft Windows version of the Arduino Mega driver. This is not the driver LANforge expects. These instructions will guide you how through uninstalling an old driver and installing the new driver from the Arduino website. This process requires you to operate the Control Panel as Administrator. Goal: Operate your LANforge's Linux desktop by accessing it with Windows Remote Desktop utility. 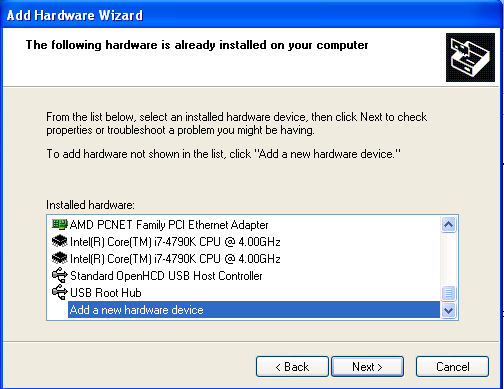 LANforge computers on Intel hardware are typically installed with a full Linux desktop. 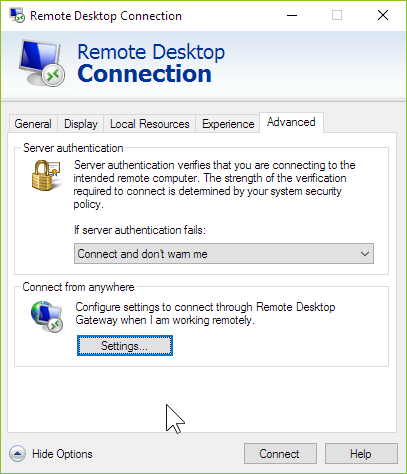 You can use the LANforge GUI, do traffic sniffing, open terminal windows, and office software to look at report data over remote desktop. 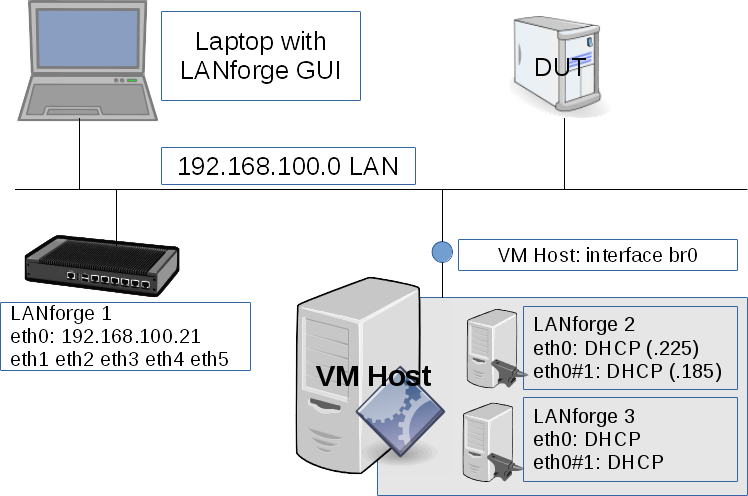 LANforge computers are pre-configured with RDP and VNC desktop services. 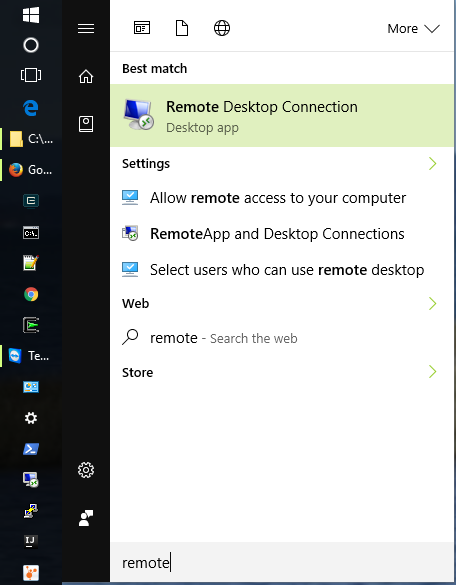 From your Windows Start Menu, type "remote" and Remote Desktop Connection should be an option. Fedora version 24 and 25 have a bug in the vncserver triggered by xrdp. 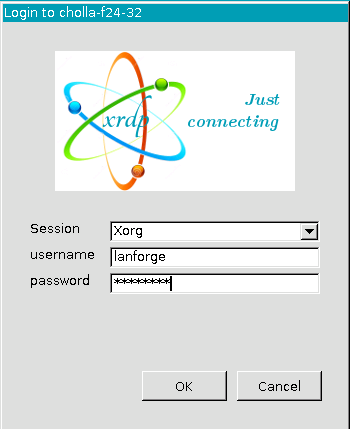 The effective way to use rdesktop on those systems is to select an Xorg session for connecting (not a Xvnc session). 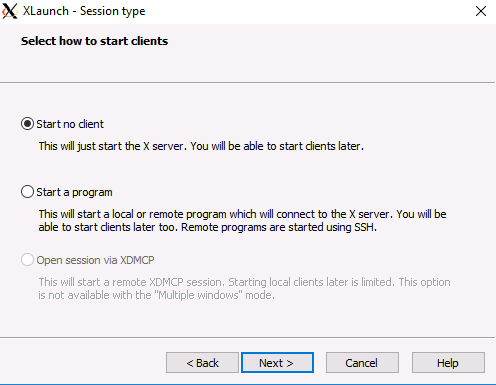 You will not need to fill out the xrdp login screen. 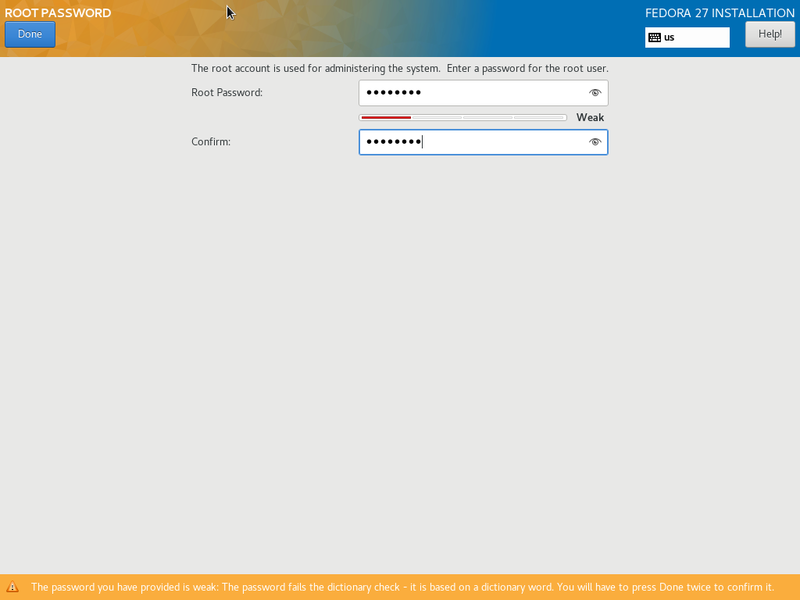 Do not specify a user name, and select Always ask for credentials. 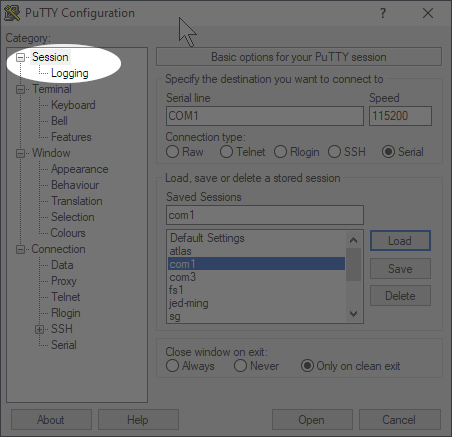 To reconnect to your previous desktop session, make sure you use the Username lanforge in your connection settings. 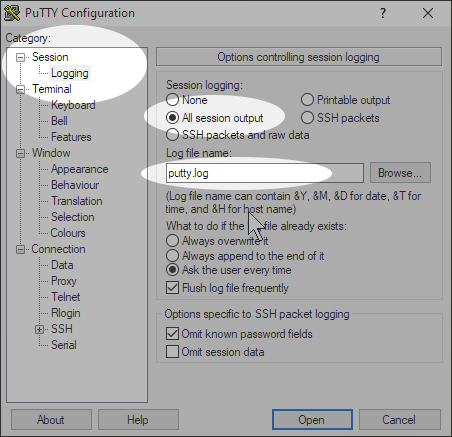 To logout of the desktop session, select System→Log Out from the top window of the Linux desktop. 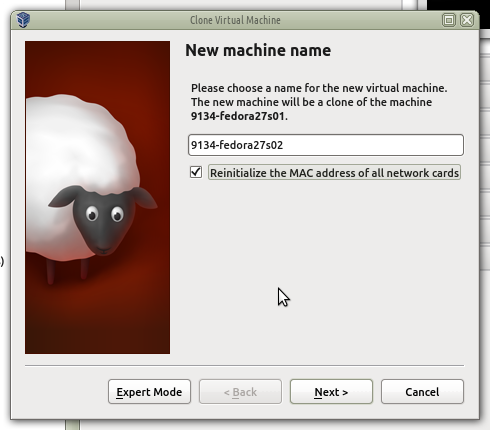 Goal: Operate your LANforge's Linux desktop by accessing it with the VNC Viewer utility. LANforge computers on Intel hardware are typically installed with a full Linux desktop. 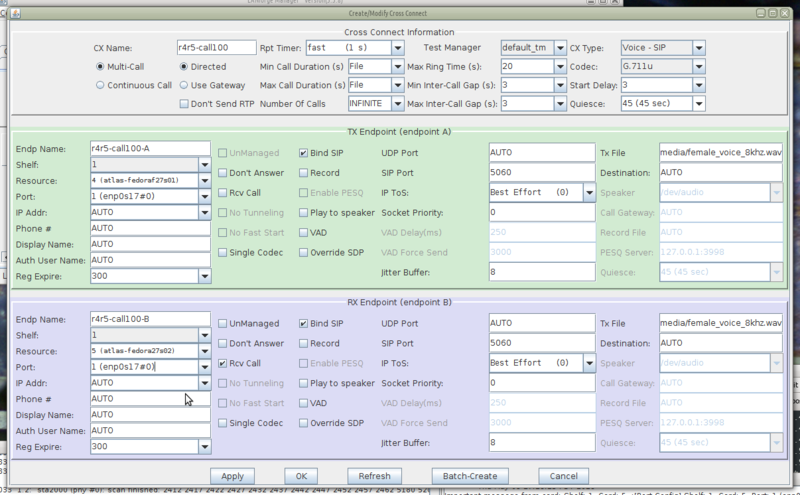 You can use the LANforge GUI, do traffic sniffing, open terminal windows, and office software using a VNC Viewer program. 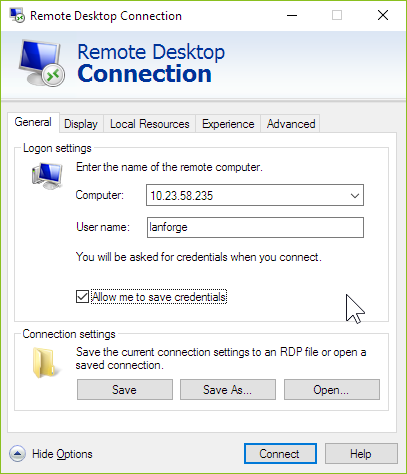 LANforge computers are pre-configured with RDP and VNC desktop services. 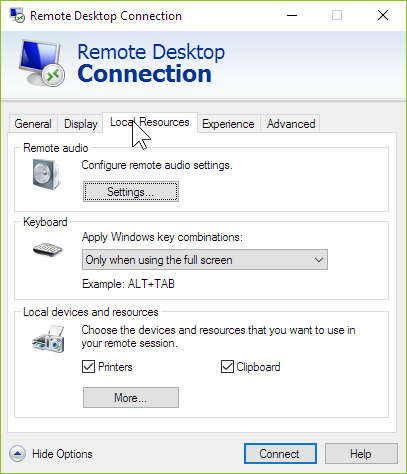 From your Windows Start Menu, type "vnc" and VNC viewer should be an option. 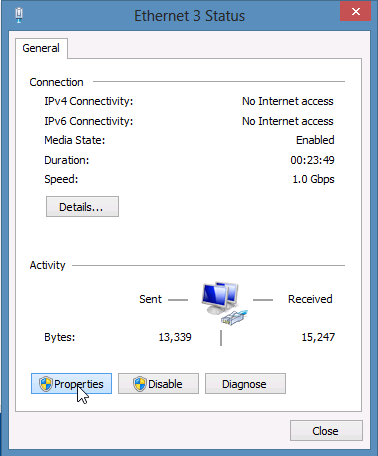 Double click the vnc icon and it will ask you for the IP address. You want to set the Encryption option to off because we presume you are connected directly to the LANforge. 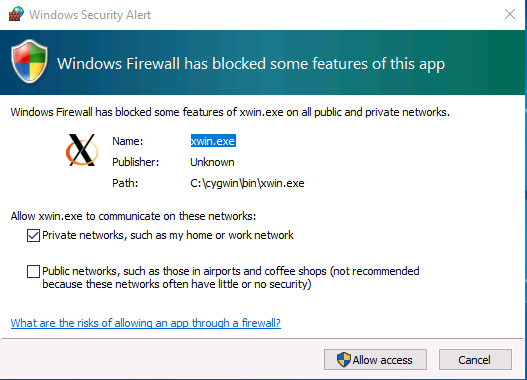 VNC Viewer might warn you about connecting without encryption. This is a valid warning if you are connecting across public networks. 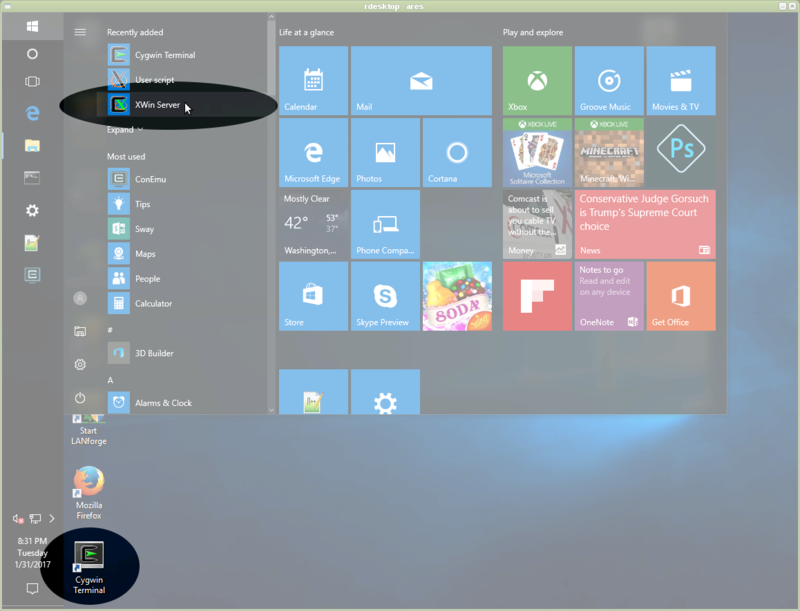 You will see the LANforge Linux desktop. This is not the same desktop that is actually running on the console if you have a monitor and keyboard connected. 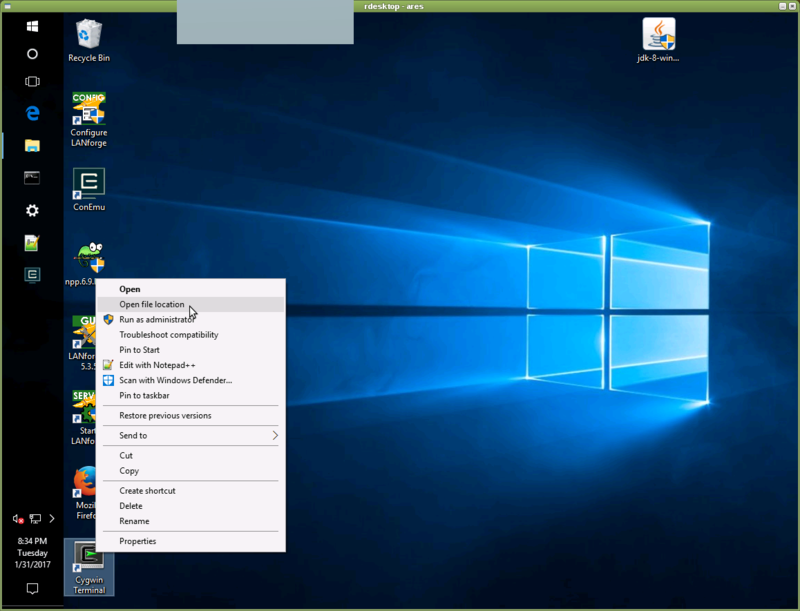 When you are done with your connection, you may close the VNC viewer window. You will not be logged out. 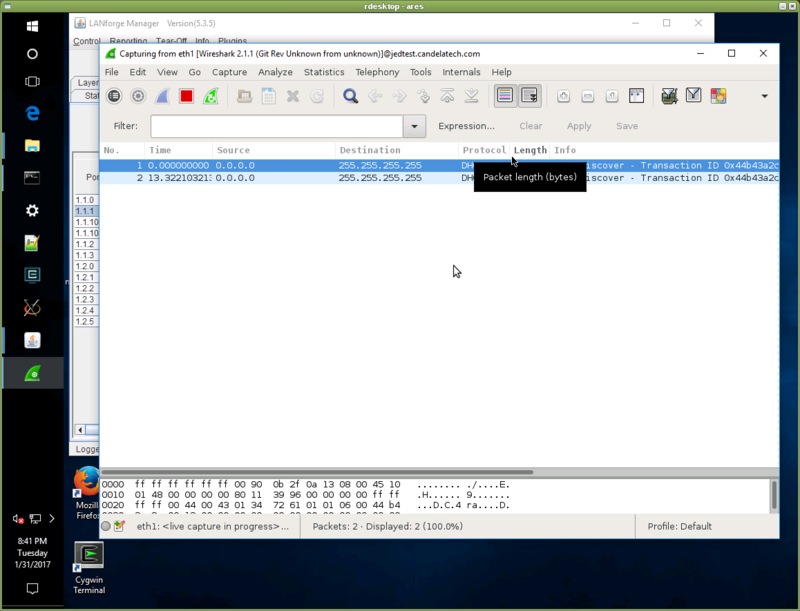 When you connect using VNC viewer again, it show the current state of that desktop. 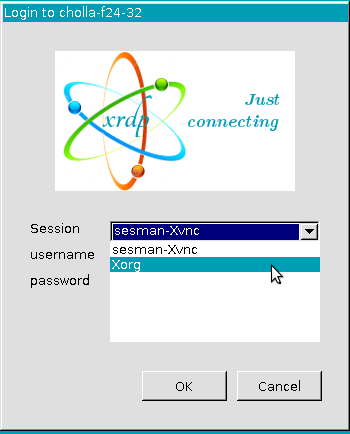 connect you to the last used VNC session. Goal: We will display the WireShark application on Windows using Cygwin when we press Sniff Packets which actually runs WireShark on the Linux LANforge machine. 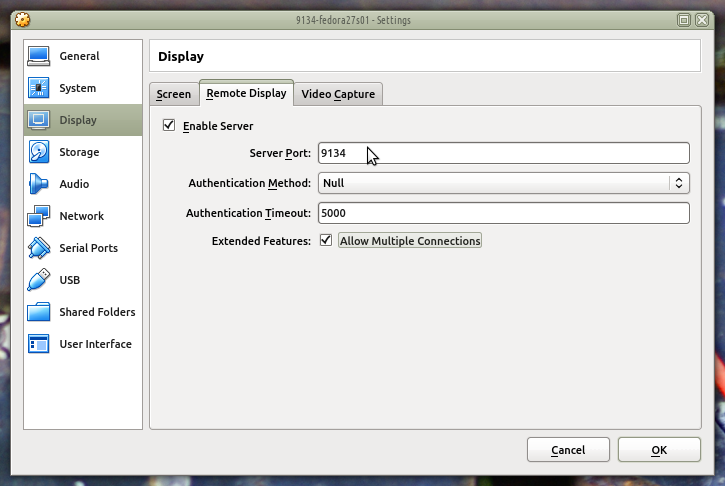 The native display protocol for Linux (and Unix) is the X Display Protocol. 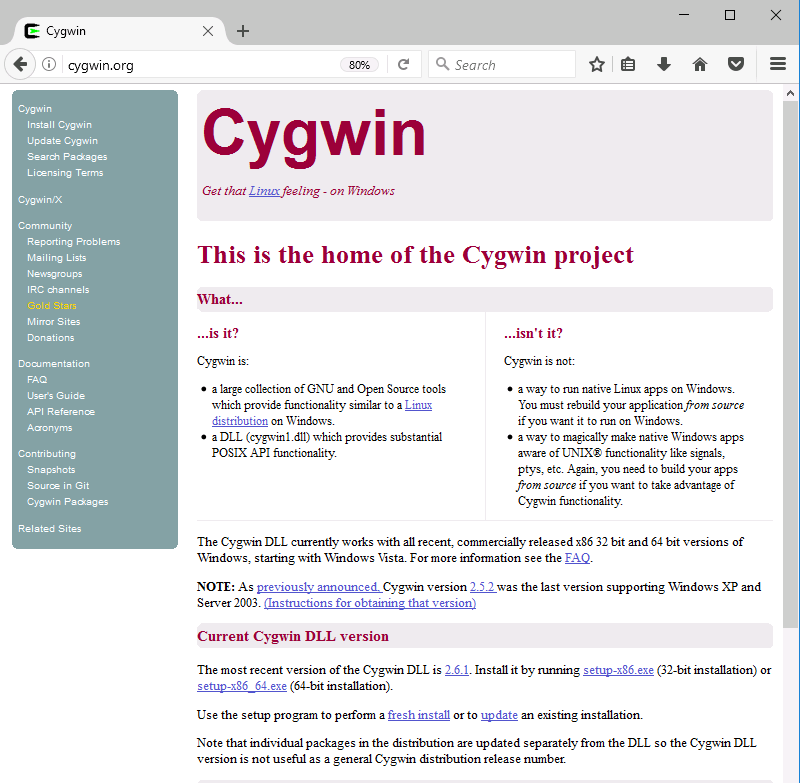 The Cygwin.org project provides Linux software that runs natively on Windows. 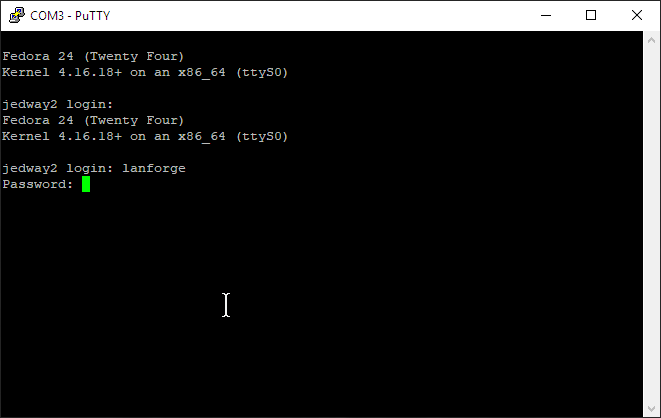 You can run an X display server on Windows that accepts connection from LANforge. We will walk through setting up Cygwin and configuring an X display. 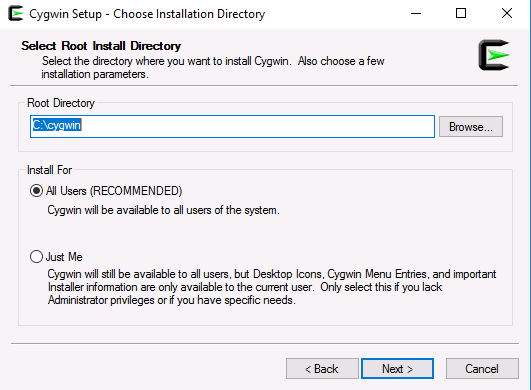 We will start at Cygwin.org and download the Cygwin installer. 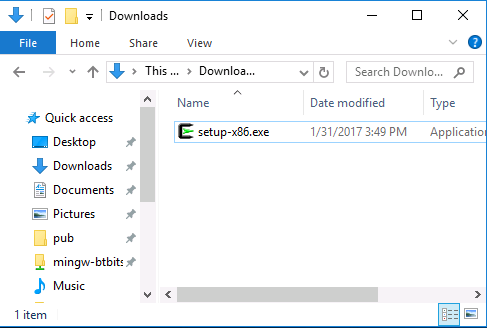 Download setup-x86.exe or setup-x86_64.exe as appropriate. 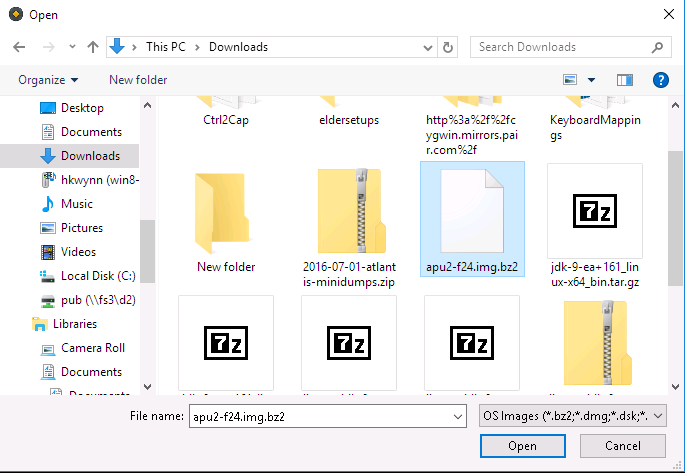 Go to your Downloads folder and double start the program. Now you see a the software selection screen, sorted by category. Some of these entries appear two or more times, because they belong to multiple categores. 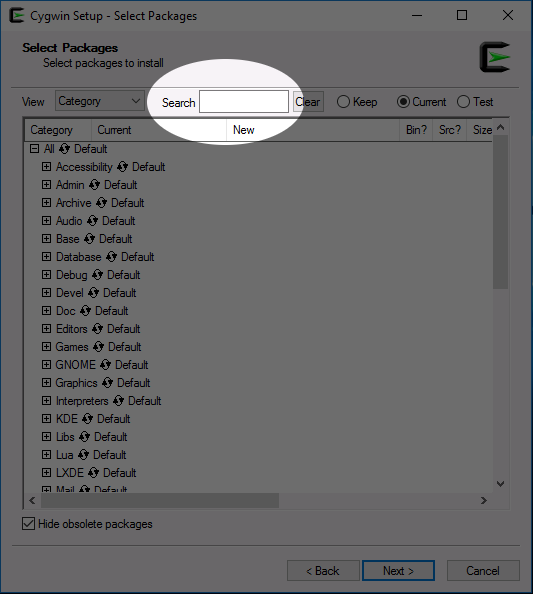 Try using the search box in upper middle above the software list to search for the packages listed below. 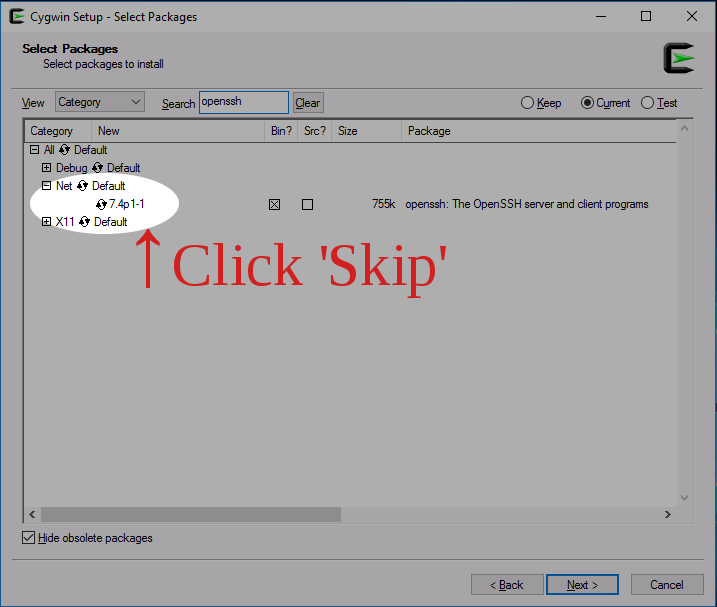 Search for openssh and click the Skip property once to change it to the most recent version to set it to install. rxvt and rxvt-unicode are more useful terminals than the minterm program that Cygwin provides by default. 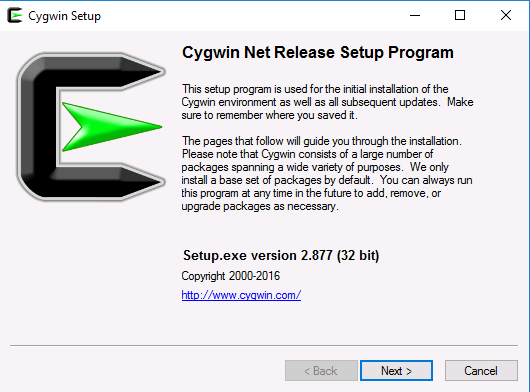 Click Next and let the installer finish the installation of the Cygwin packages. 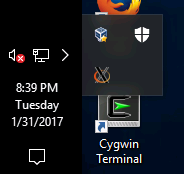 You will see a Cygwin Terminal icon appear on your desktop and new Cygwin icons in your Start menu. 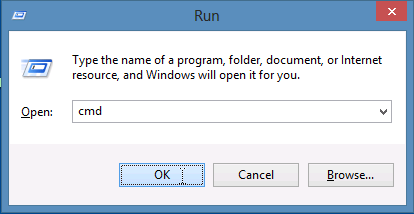 If the LANforge Messages window reports 'No Access', you might need to use xhost.exe to grant X11 access. Now your X display service is running. 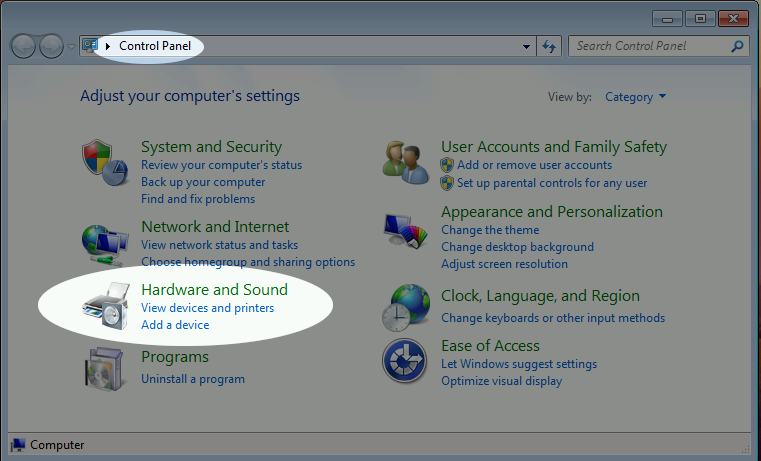 You can check that it's running by clicking into the System Tray and seeing if the icon is there. 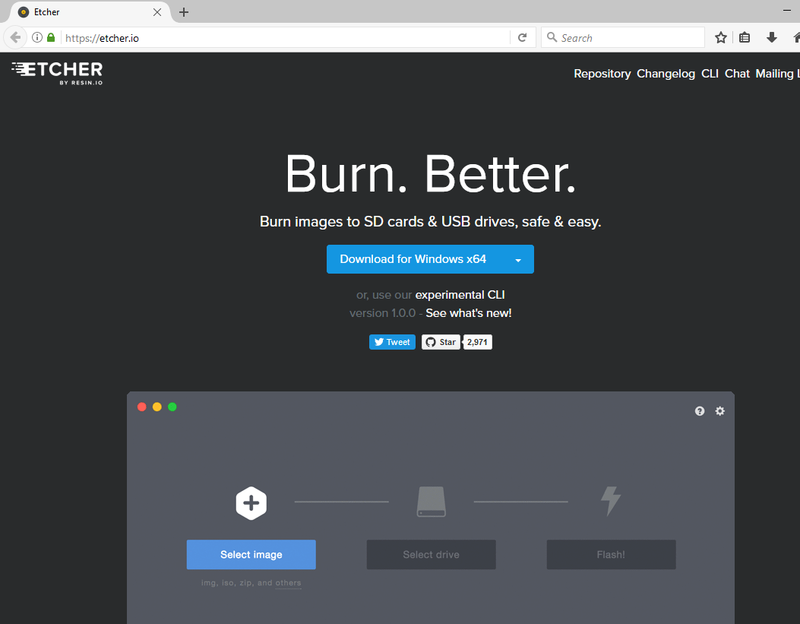 Launch the LANforge GUI from your desktop. 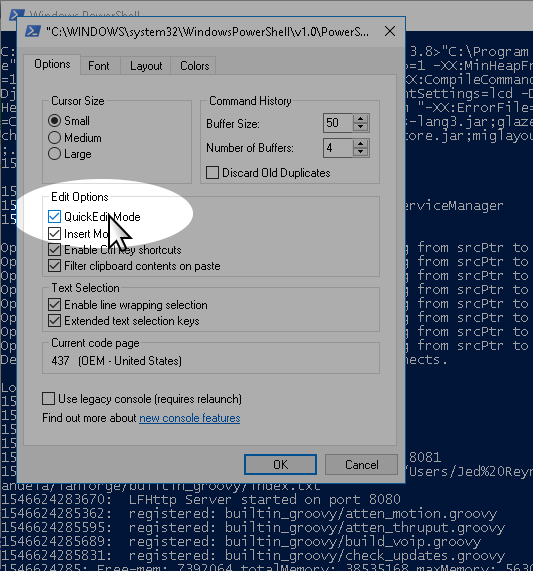 Select a port from the Port Mgr tab. Notice how the Disp field has your laptop's LAN address. 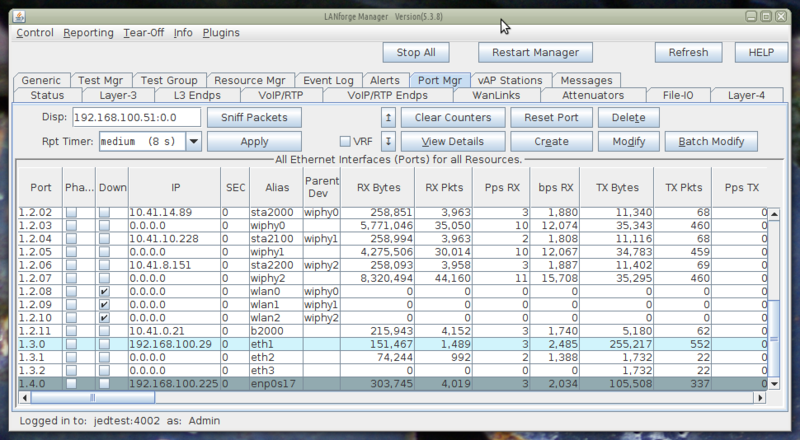 This is the display address the remote machine will display the Wireshark window to. 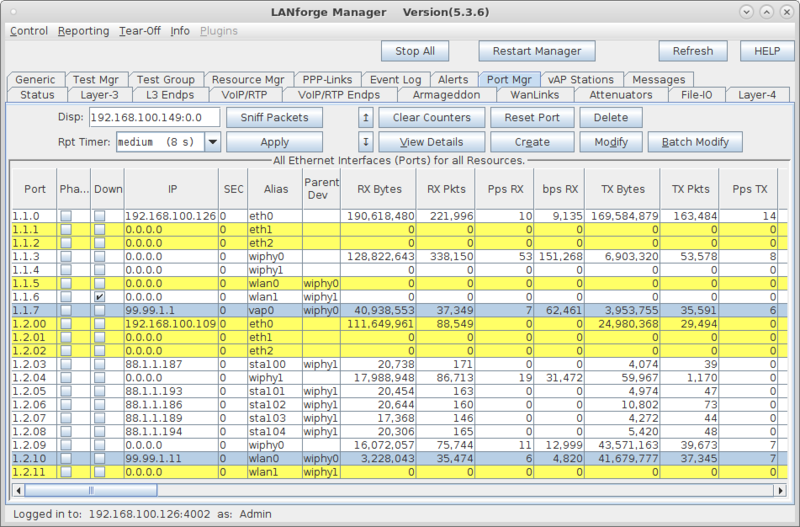 Goal: Properly configured, the LANforge server or the LANforge GUI can collect connection performance information in CSV format. By default, your LANforge server and your LANforge client do not save the data on connection and port performance. 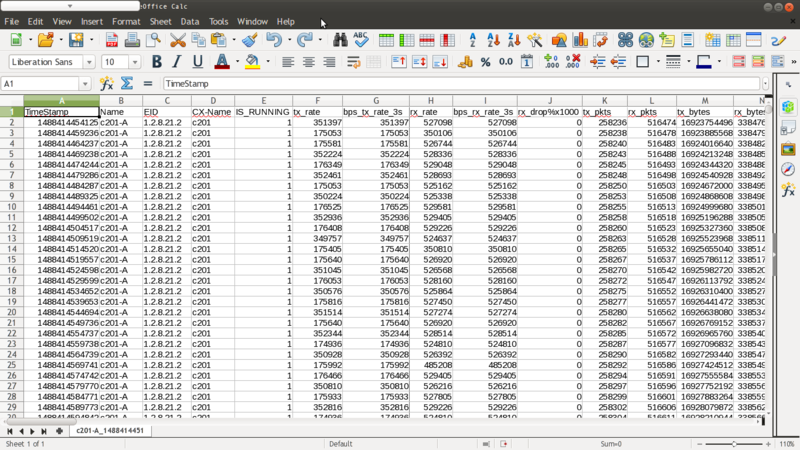 When you configure the save destination for this data, you can use it with any other tool that can read a CSV file. 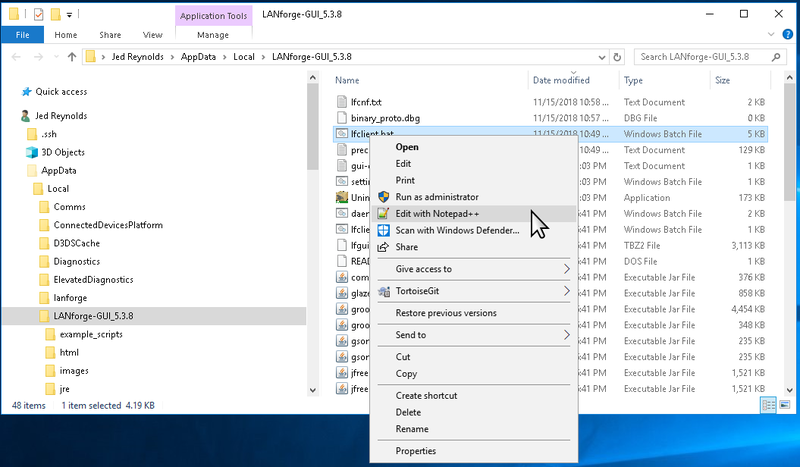 You can tell the LANforge server to save data to a directory locally on the management machine, and you can configure your workstation running the the LANforge GUI to save data to a local desktop folder. 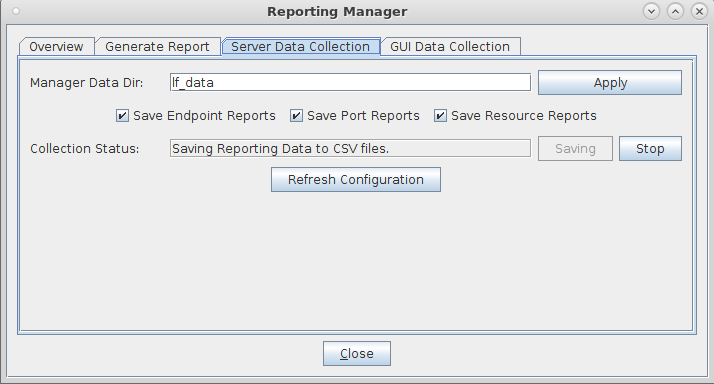 First, find the Reporting Manager dialog by in the Reporting menu, and select Report Manager the client. 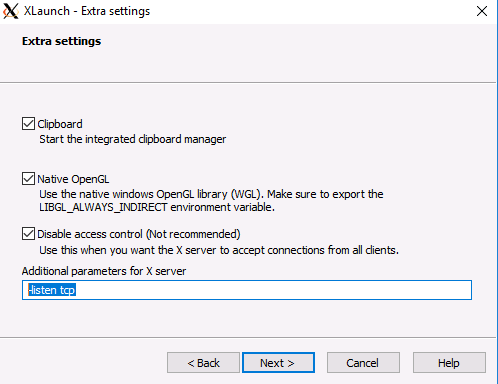 Collecting data on your local workstation is very convenient if you can leave the GUI running for the duration of your test scenario. The format of the data here should be similar to the format of the data saved to the server directory. 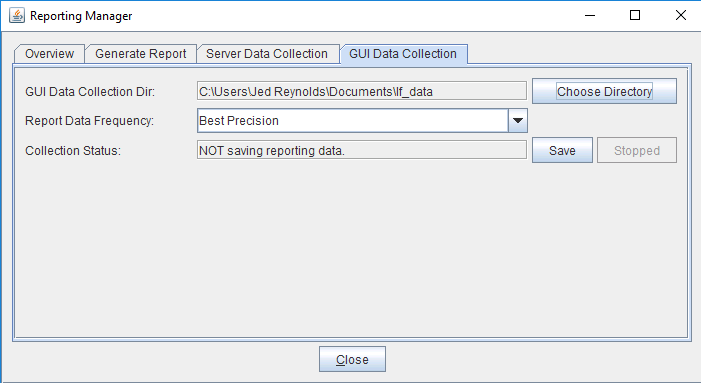 The folders for collecting data are relative to the folder you start your GUI from. If you type in lf_data that probably means C:\Users\mumble\AppData\Local\LANforge-GUI\lf_data. You probably want to put in a fully qualified path thats more intuitive, like C:\Users\mumble\Documents\lf_data. 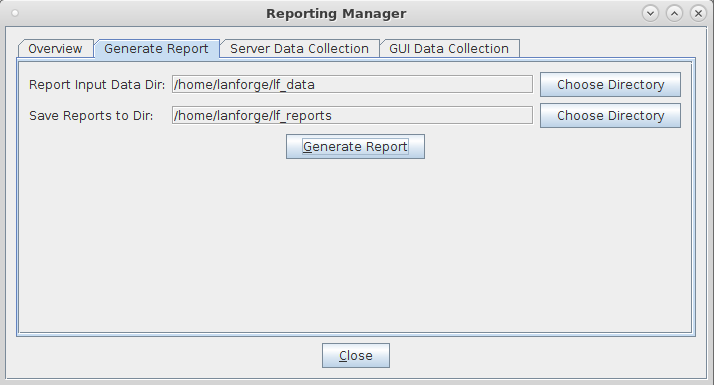 The Report Generator uses the local data files. 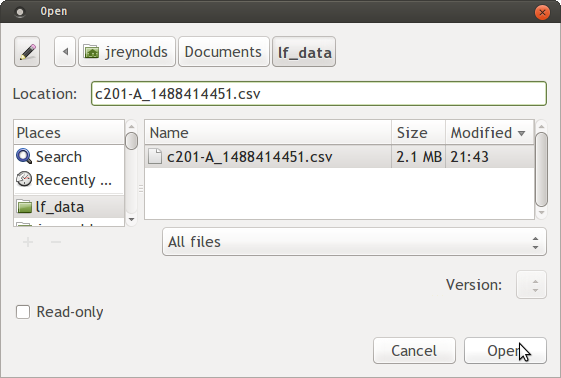 In that dialog shows the Report Input Directory field is a local folder where the CSV files collect. 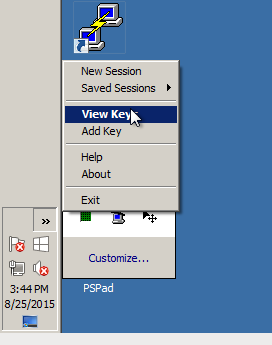 The Save Reports to Directory field is where HTMl and PDF files should collect. 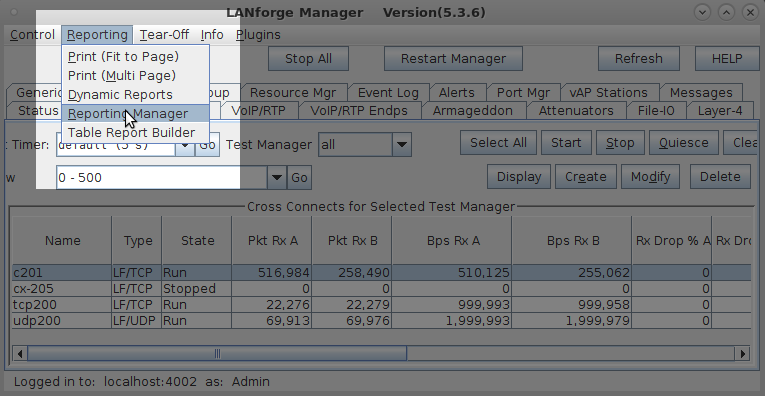 If your test scenario runs longer than your GUI can be up, you can configure the LANforge server to collect the data. The directory is relative to the /home/lanforge directory, so if you enter lf_data, you would find the CSV files in /home/lanforge/lf_data. and then you format the column as Date. There are a number of ways to collect an dort the data with shell utilities. The first utility to consider is cut, then awk. 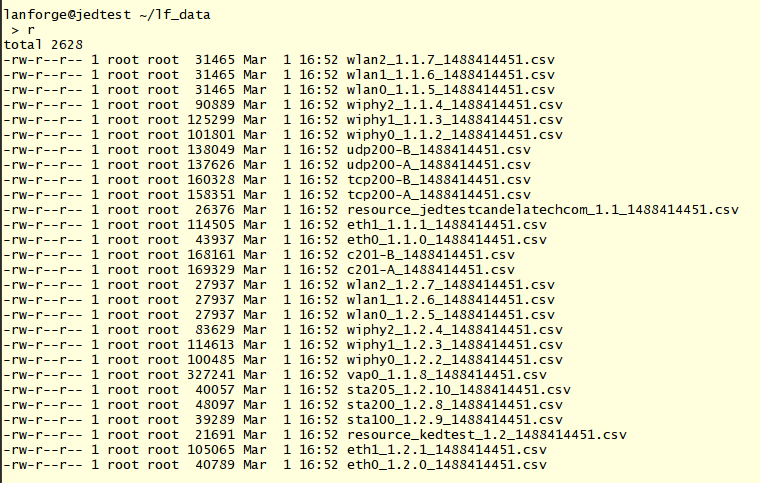 The first column of the endpoint file we are going to read is the timestamp, the 14th is the rx bytes. It is a lot easier to do math with a perl script than a bash or an awk script. You can pipe things into perl or perl will read the last argument of the -ne switches as an input file. 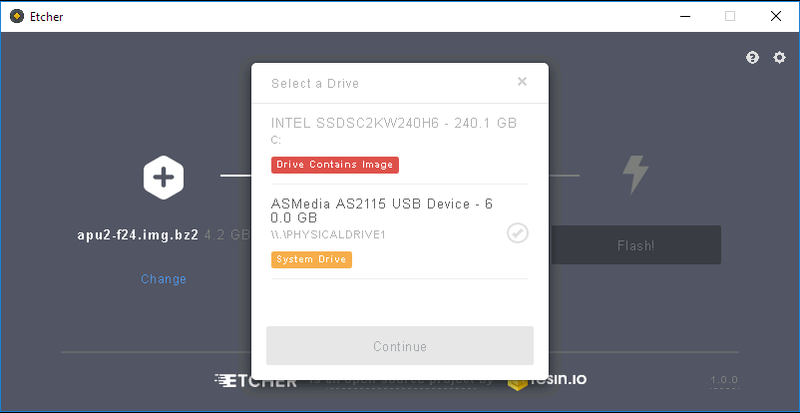 Goal: Copy an installed OS file-system image onto a drive that you will install into a LANforge system that lacks display hardware. 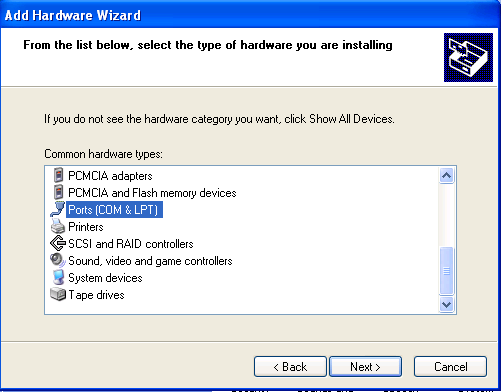 Many LANforge ICE WAN emulator machines are embedded systems that lack display hardware. 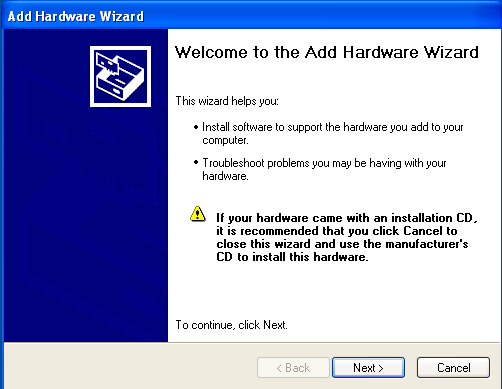 Installing an OS using only the serial console can be very inconvenient. 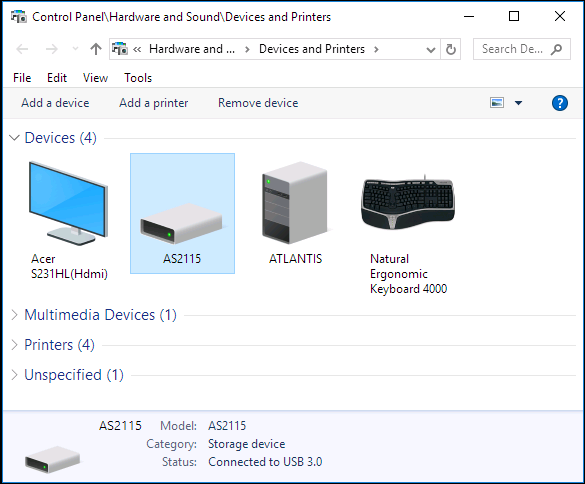 The easy solution is to perform the installation on similar hardware that does have display hardware, and then move the drive to the embedded device. 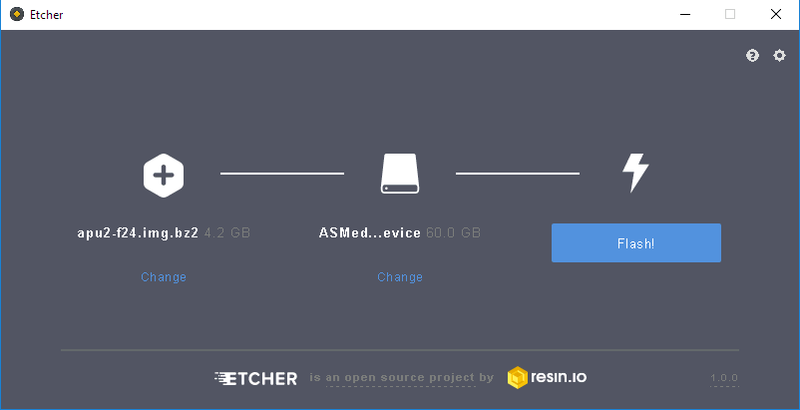 Here, we learn how to use Etcher on Windows to write a compressed disk image to an mSata drive plugged into a USB3 adapter. 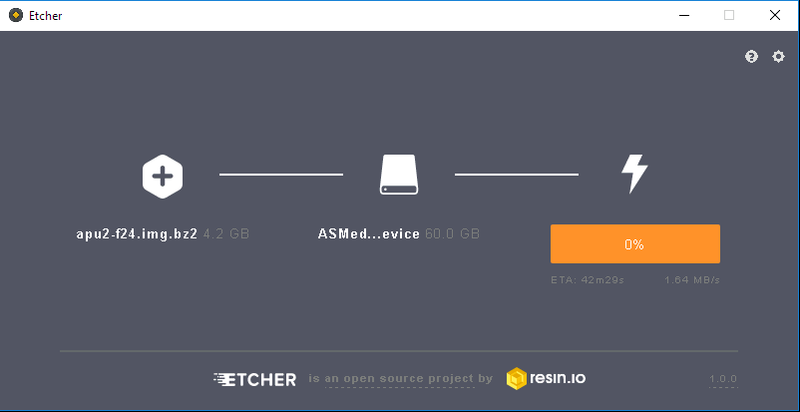 Here we're using Etcher which handles compressed file system images without any trouble. There are other programs (like Win32 Disk Imagaer or dd for windows) but those are more complex to use. 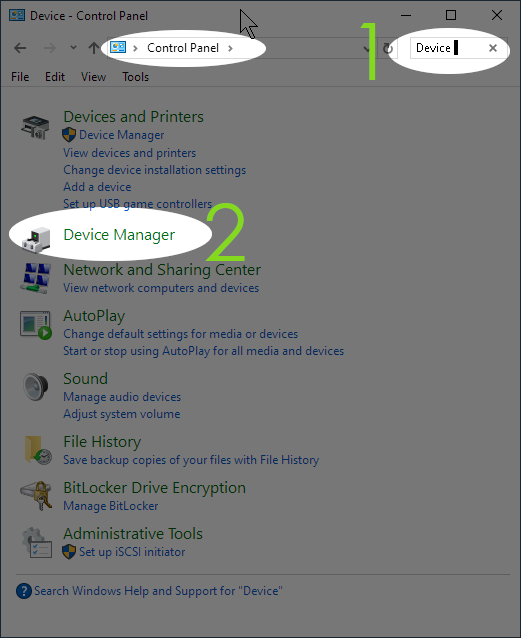 Identify your drive in Control Panel → Hardware and Sound → Hardware and Printers. It might take 20 minutes to write a 20GB (uncompressed) image. 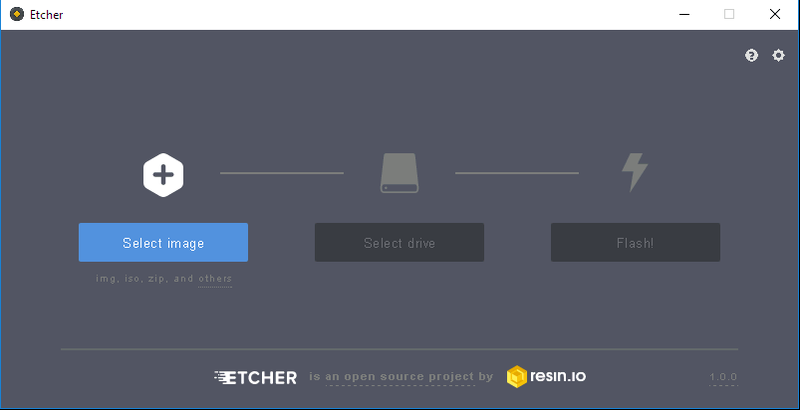 When the image is finished writing, close etcher and use the Safely Eject Thing dialog in the system tray. 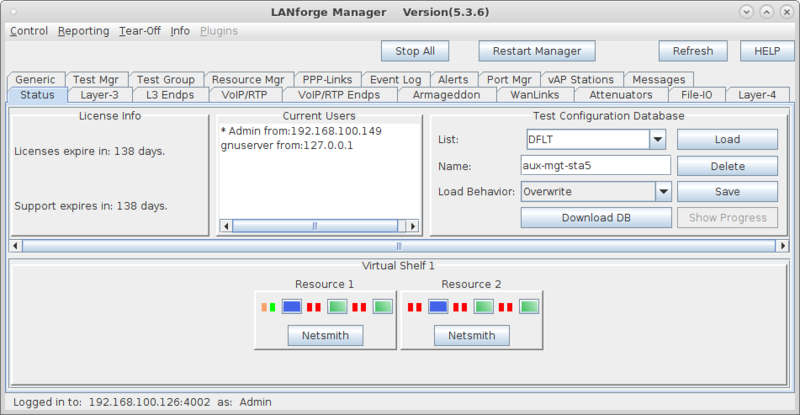 Goal: Add a virtual machine running LANforge to a LAN with a physical LANforge manager. We review the configuration steps necessary to add a virtual LANforge resource. 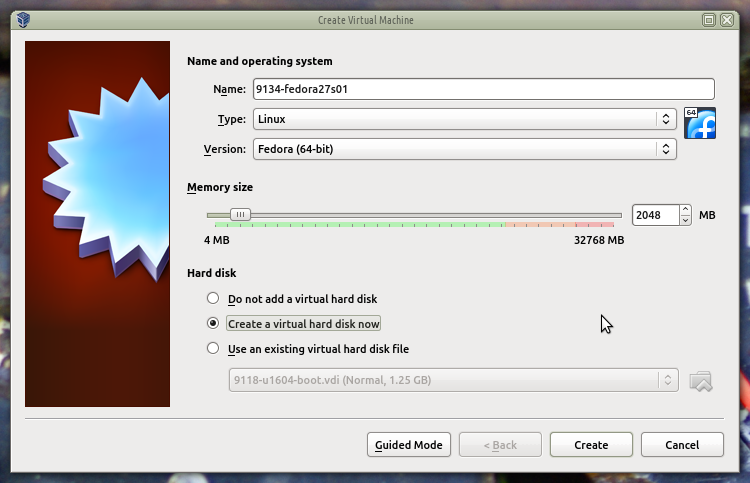 This was done using VirtualBox 5.2.10 and Fedora 27 Server edition. 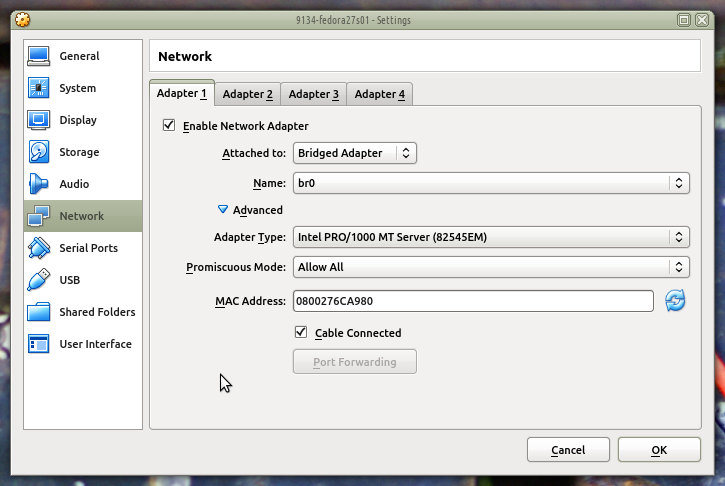 The guest instances will be configured to export MAC-VLAN ports to run traffic on their physical management port. Create a new guest instance. Under System Automatic partitioning should be adequate for general use. Set the root password to lanforge. Click Done twice. 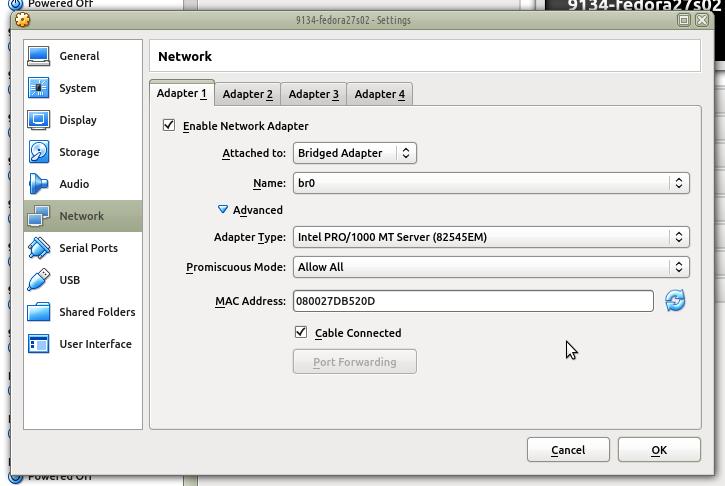 From your LANforge GUI, configure a MAC-VLAN the on default Ethernet port. Select the Reinitialize MAC addresses choice, these machine will operate simultaneously. 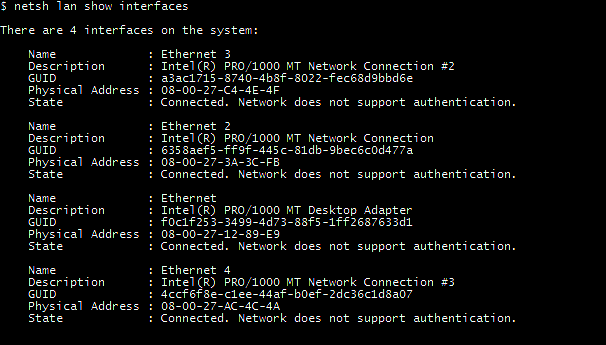 Make sure that the MAC address of the second guest is not listed in the ifcfg-enp0s17 file. If it is listed, change it or remove it. LANforge changes the /etc/udev/rules.d/70-persistent-net.rules file, edit tht file those as to match the value of your mac address. In your LANforge GUI, you should see your two VMs. 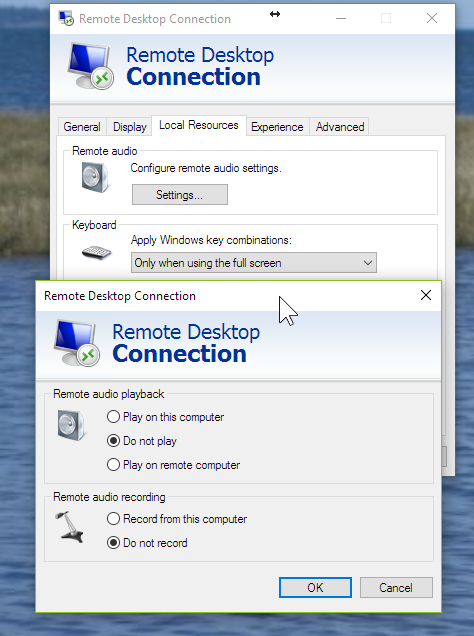 Create a VOIP connection between the two guests. Goal: Using a serial cable and terminal emulator on Windows to connect to LANforge. If you experience crashes or system misconfiguration, a network link to LANforge can become unavailable. LANforge machines are shipped with a serial cable for just this possibility. Most LANforge servers come with standard RS232 DB9 pin serial ports, other models have a special RJ45 style connector. 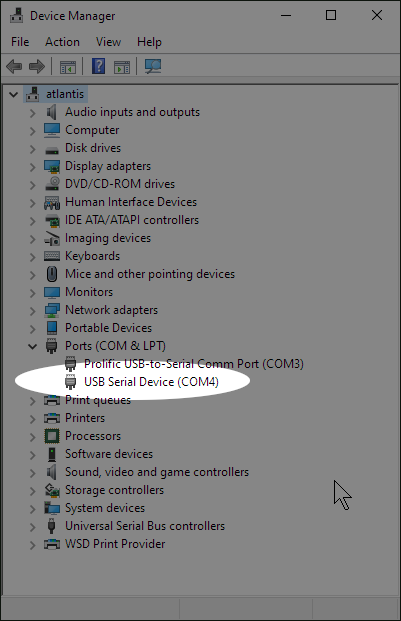 You might need a USB to Serial adapter to connect your laptop to the serial cable. 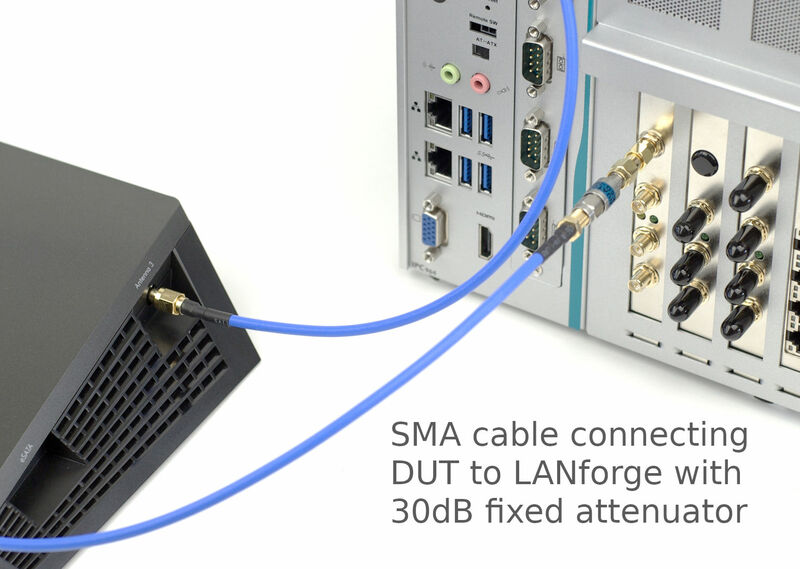 Other LANforge chassis models can have either RJ45 or DB9 serial ports. 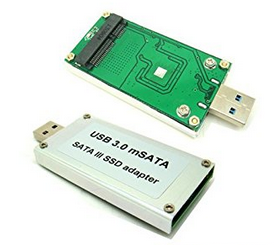 Chances are you will be connecting a USB to Serial adapter to your laptop. 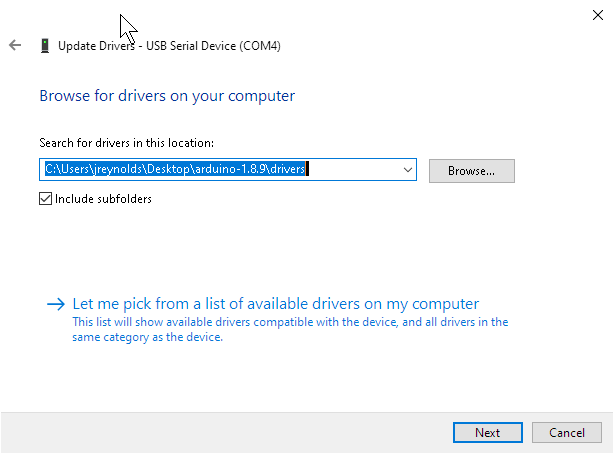 Typically, right after you connect the cable to your USB port, you will see a message from Windows letting you know a new drive has been installed. 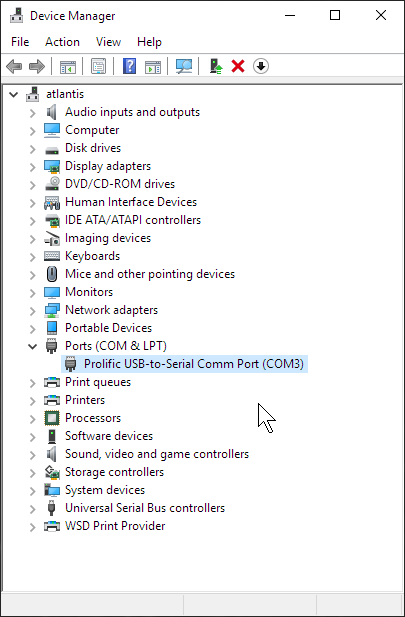 In this example, we see that our new USB device was assigned COM3. Select category Serial, specify the Serial Line COM3, speed (115200) and set both Parity and Flow Control to None. 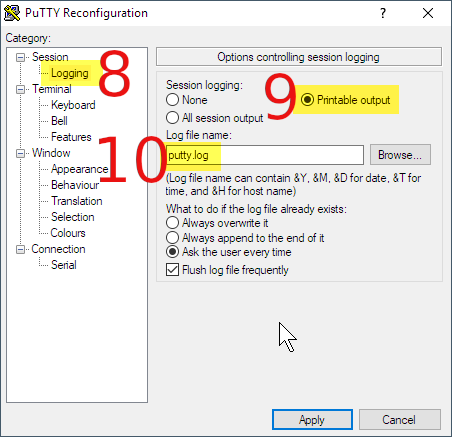 Select the Session→Logging category, select Printable Output and name set the Log file name as you prefer. This allows you to collect your commands as notes for later. Click the Open button. You will see a terminal window appear. If the screen is blank, hit Enter to see a login prompt. One common problem with any LANforge machine is cleaning out old kernels. 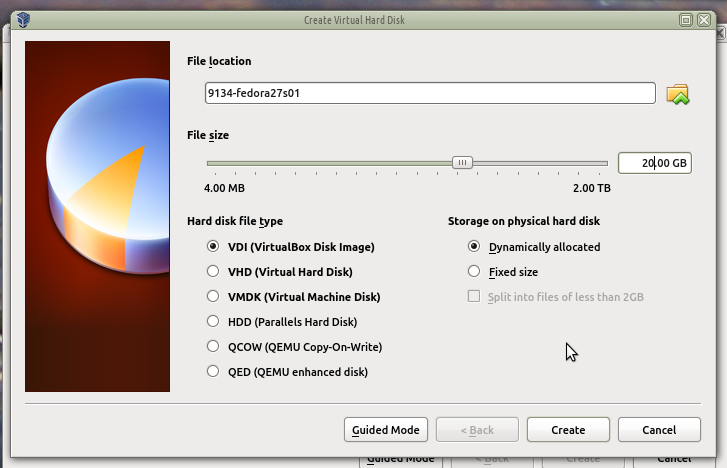 This is an example that shows you how to check disk space and how to remove unused kernels. 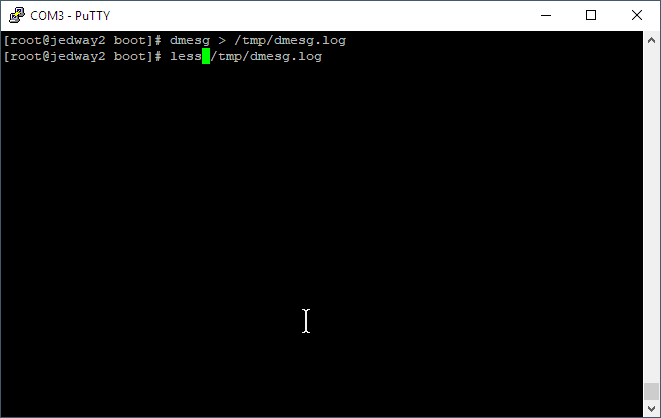 Use the dmesg command to see if there are system warning. 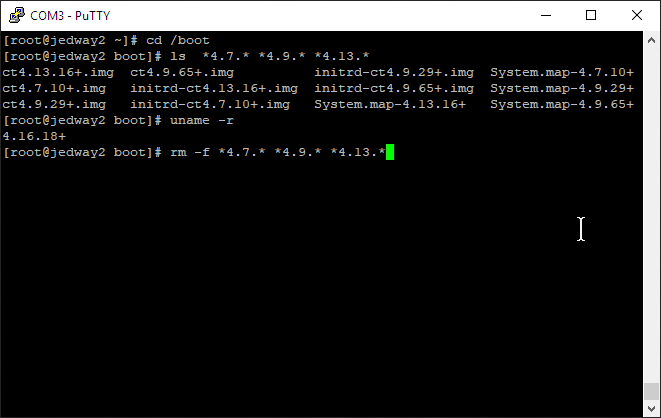 go to the /boot directory. 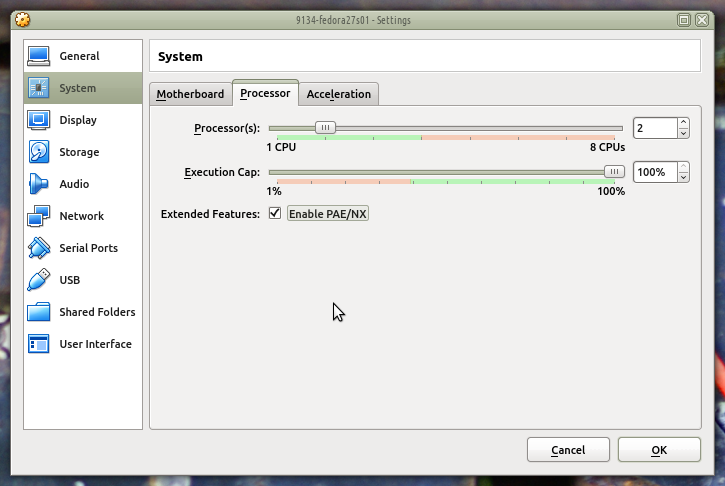 The uname -r command tells you which kernel you are currently running. You may remove old ct kernels. 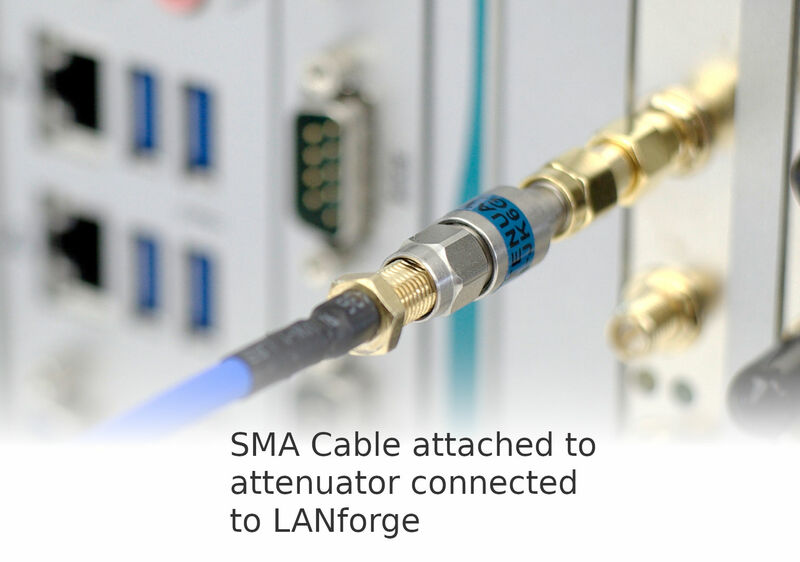 Goal: Connect the antennas of your device under test to LANforge using SMA cables and a fixed attenuator. Many WiFi testing scenarios benefit from some amount of WiFi isolation. 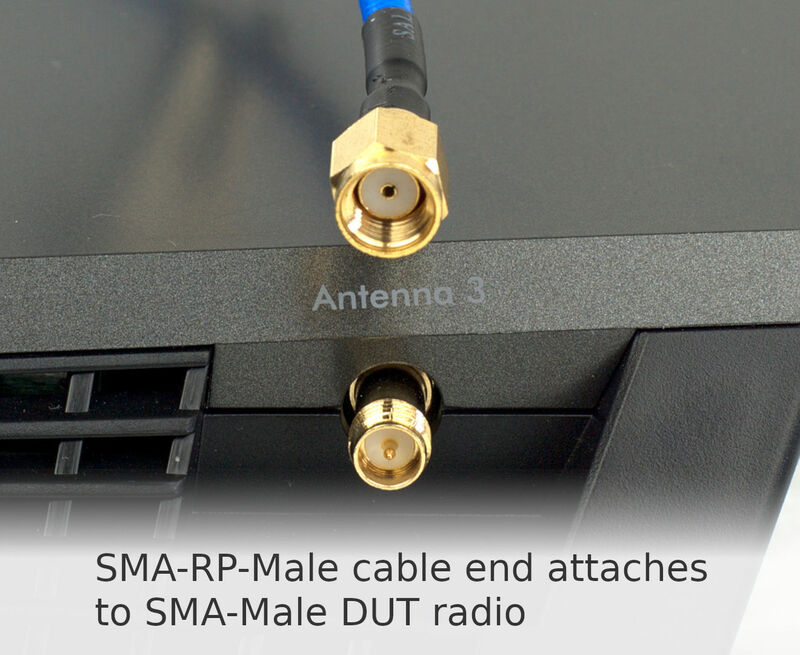 Connecting the radios of the Device Under Test (DUT) to LANforge's radios using SMA cables can improve connection quality. Using a fixed attenuator can reduce a direct signal so that it is heard by the radios without distortion. 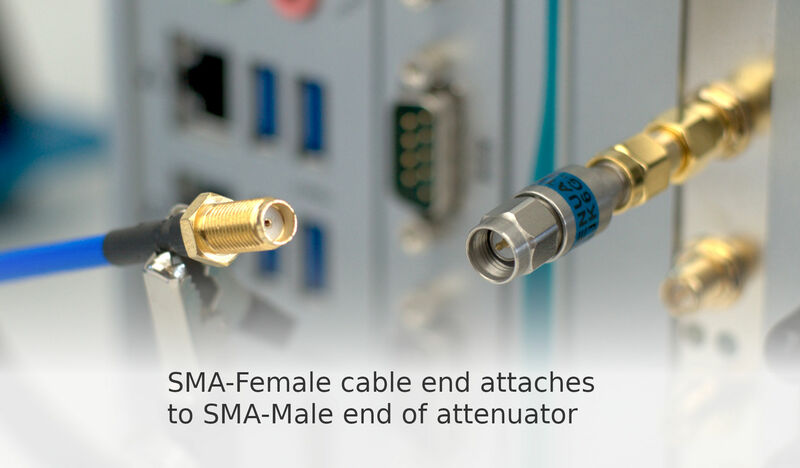 Begin by connecting the SMA Female end of the fixed attenuator to the SMA adapter. 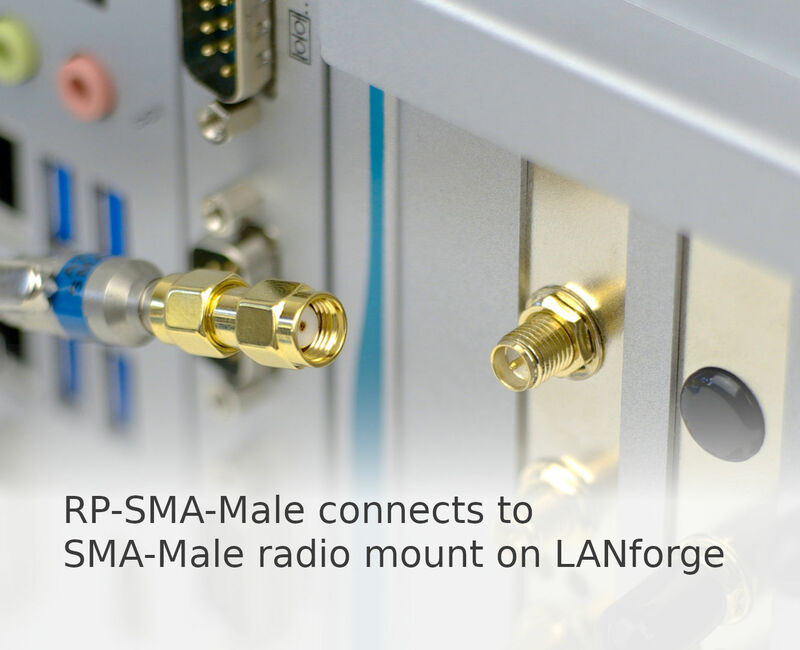 We see that the exposed end of the sma_adapter is RP-SMA-Male. RP means Reverse Polarity. Connect the attached attenuator and adapter to the LANforge radio antenna. 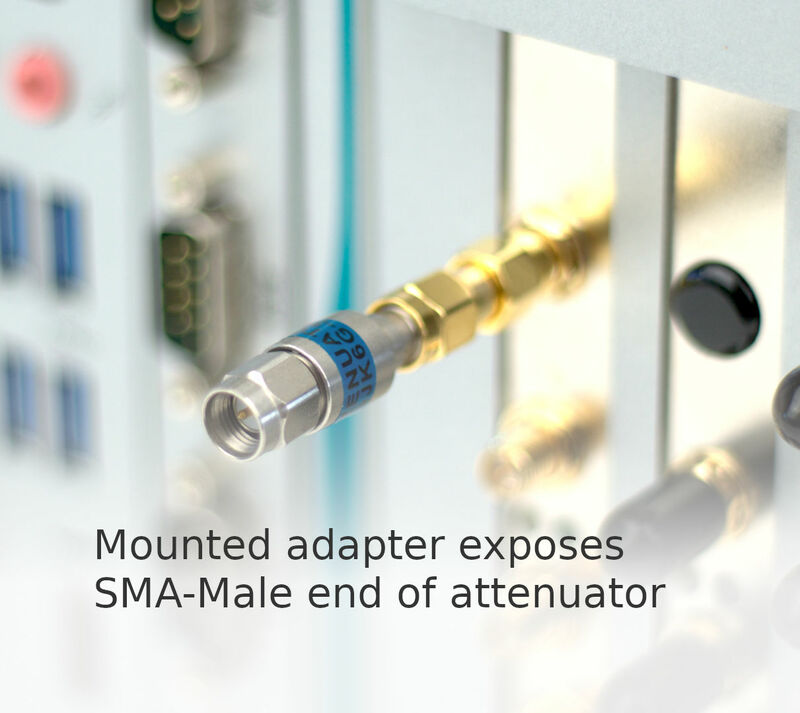 This exposes the SMA Male end of the attenuator. Your DUT might not have adequate space to mount a fixed attenuator to it, so we suggested connecting it to the LANforge. The polarities of the cable end must match the end of the fixed attenuator. 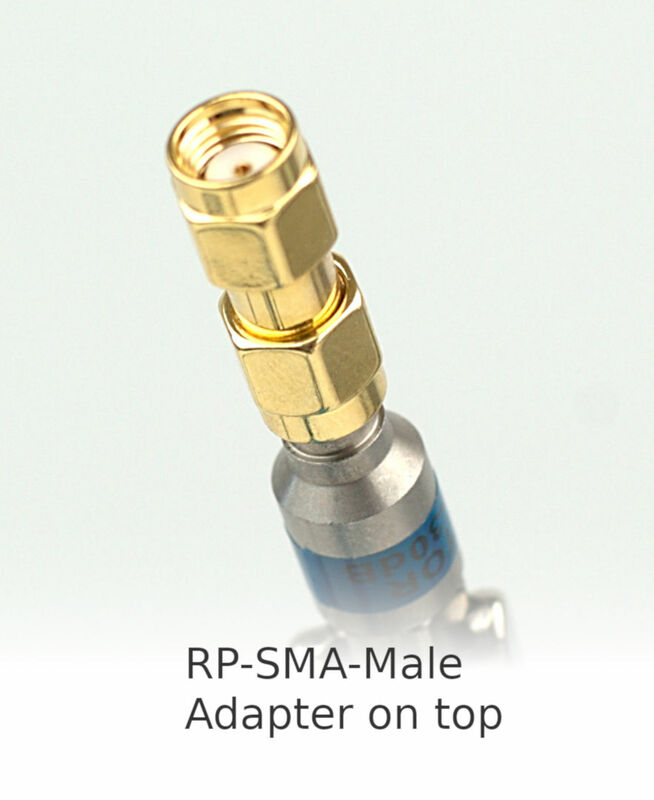 The cable end for this side is SMA-Female. See how the cable connected to the lanforge has both the adapter and the attenuator. 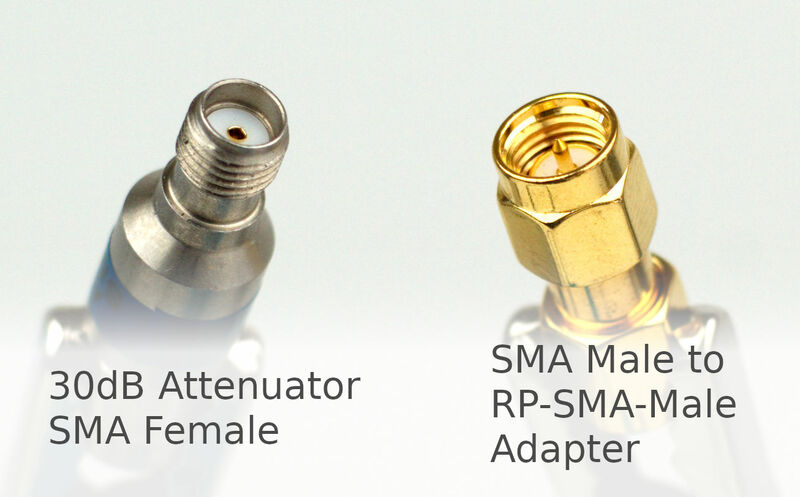 It should be safe to use the attenuator and adapter anywhere along a SMA path. Connect the other end of the cable to the Device Under Test (DUT). Your DUT might use different antennas so you might need to use another adapter. We have connected one antenna of our DUT to the one antenna of our LANforge. Repeat this for multiple antennas. Goal: Learn how to diagnose problems running LANforge client on Windows. 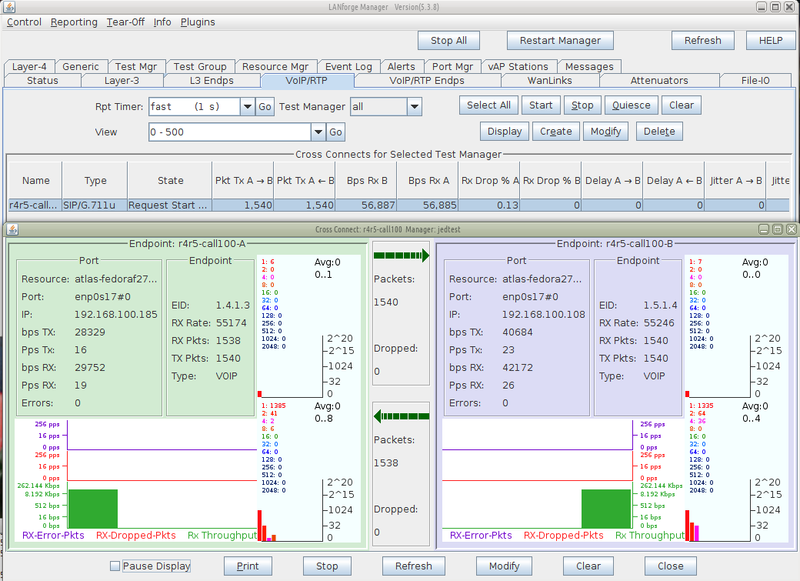 The LANforge client (GUI) can encounter variety of difficulties depending on the amount of RAM and version of Java running on your desktop. Read this guide to learn steps to take to collect error messages and how to fix out of memory problems. The LANforge client can be both the GUI running interactively, or in headless HTTP mode. 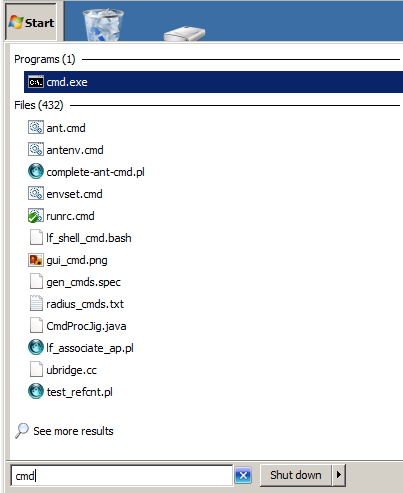 Right click on folder area to right of files, and select Run CMD here or Run PowerShell here. 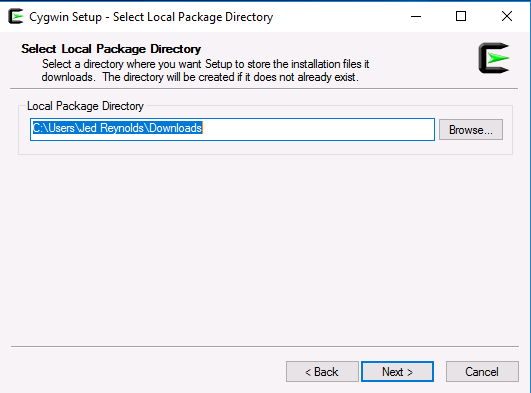 This might require that you Shift-Click on anything that might be selected in the directory to un-select it. 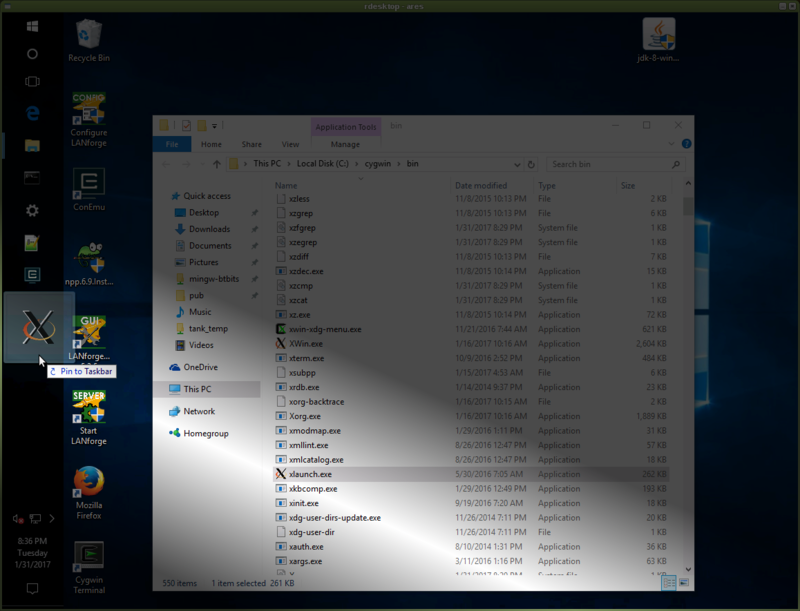 Double-clicking lfclient.bat in the Windows Explorer window will start the client in a CMD window, but the window will disappear when the client quit/exits/leaves. 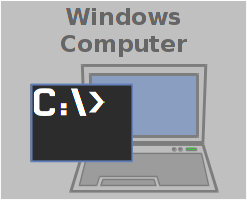 Quick Edit allows you to highlight text quickly with the mouse; it is a feature of both the CMD and PowerShell windows. 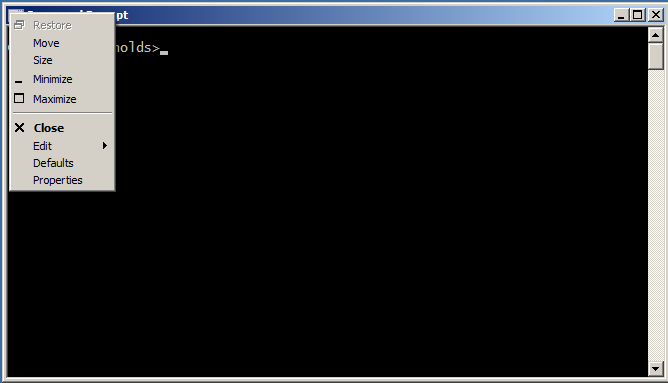 CMD windows have the distinct drawback of halting execution while text is highlighted. You can change the setting by clicking in the upper left corner, selecting Preferences, then look for Qui,ck Select. Candelatech introduces features into LANforge quickly, and discovering a problem in the LANforge Client occasionally happens--and we want to hear when it does! 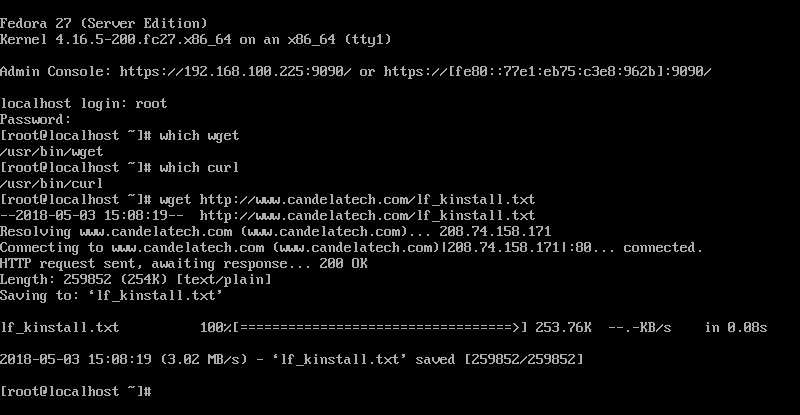 You can help by copying the terminal output and emailing it to us (at support@candelatech.com). 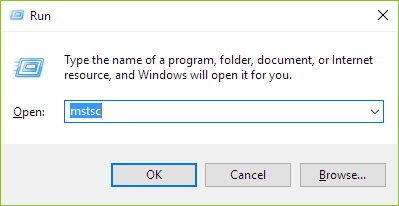 ...will not start after double clicking the icon. This might be caused by a missing or mismatched version of the Java runtime, an error in the start-up script, or a program error. ...unexpectedly quits. Probably a program error. ...does not respond. Possibly a program error, caused often you will see many exceptions printed to the terminal. 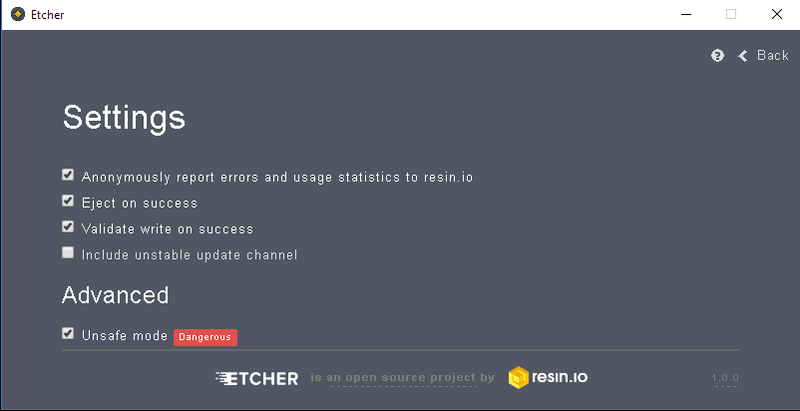 Scroll the terminal window to see the top of the exception and highlight the exception message and as much of the stack trace as possible. 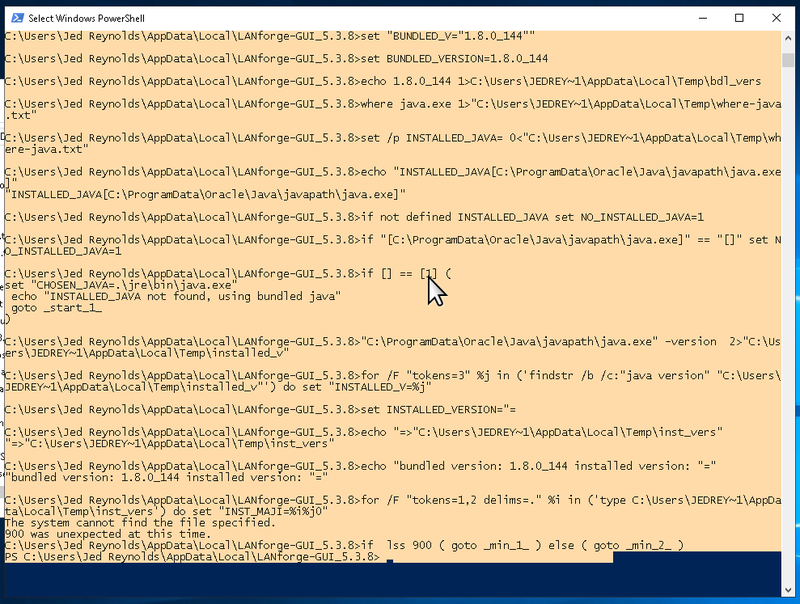 Below is a picture of a condition where the LANforge client script has an error and will not start. Pressing Enter after highlighting the text copies the text into your clipboard. The laptop might not have an email client installed. In that case, open notepad.exe or wordpad.exe from via the Start menu, and paste your stack trace into your text editor. If your circumstances don't allow highlighting, copying and pasting, you can take a screen capture, usually by pressing Alt+PrtScr shortcut. When contacting us, please describe the steps you took to reach this error. We need to be able to reproduce the error in order to fix it. 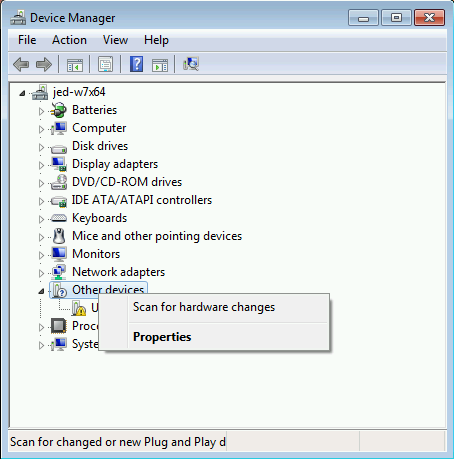 Candelatech provides a 32-bit and a 64-bit version of the LANforge client. We generally suggest people use the 64-bit client, because most recent laptops are running 64-bit operating systems. This is a common fix for running out of memory. When running a WiFi Capacity Test, the generated report consumes significantly more memory than a mere HTML or PDF version of the report does. 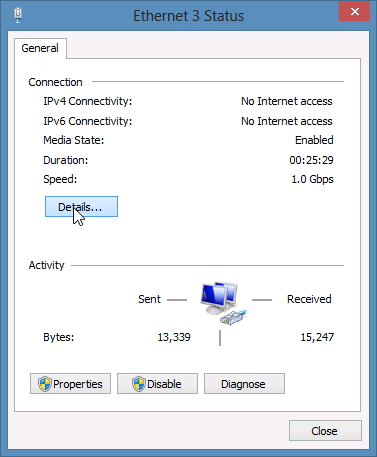 If you have multiple WiFi Capacity Test reports open, we suggest you save them and close the report windows. Running tests for longer periods of time (like days) can also consume significant memory. By default, the LANforge client will only allocate up to two-thirds (2/3s) of the system memory it detects available at start-up. 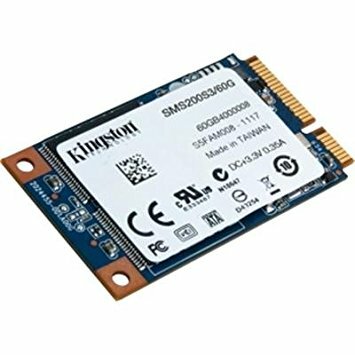 If there are programs like Chrome, Outlook and possibly Electron based applications open, those can be using most of your laptop's memory to begin with. 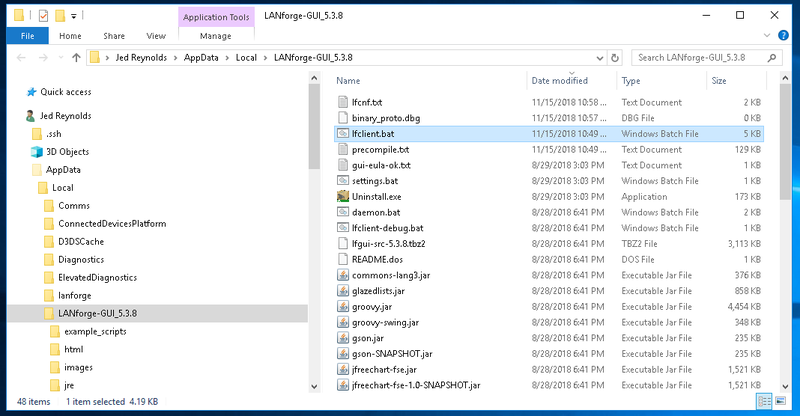 You might need to exit other programs in Windows and restart the LANforge client in order allow it to have more memory. You can also edit the start-up script to configure the maximum memory permitted to the Java runtime. That is discussesd next. 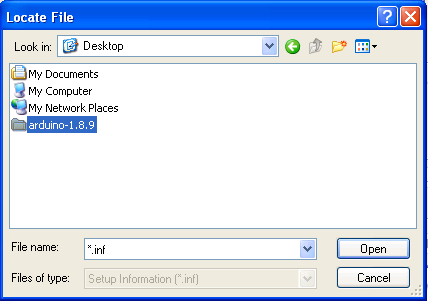 While it is possible to edit files with notepad.exe, that text editor has few conveniences. 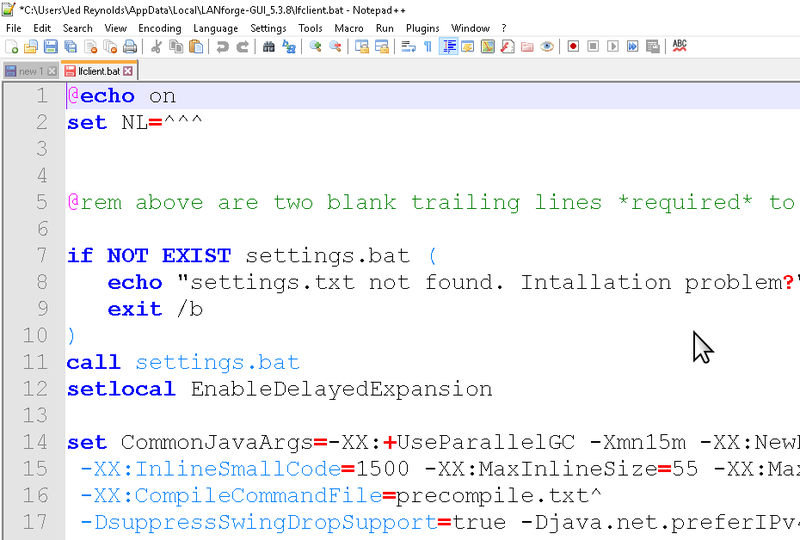 Please consider using Notepad++ if you don't already have a text editor available. The file opens in the editor at the top. You will want to jump to the end of the file. 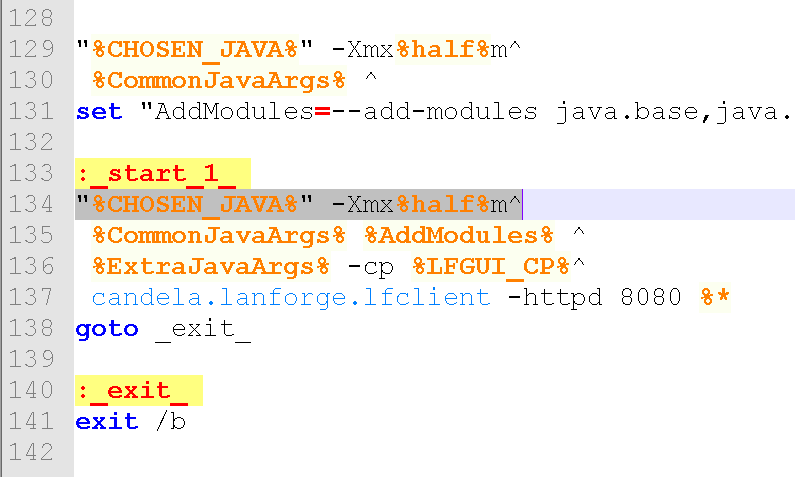 At the end of the file, notice the -Xmx option for the java program. You will edit this to the maximum amount of memory you want to allow the program. 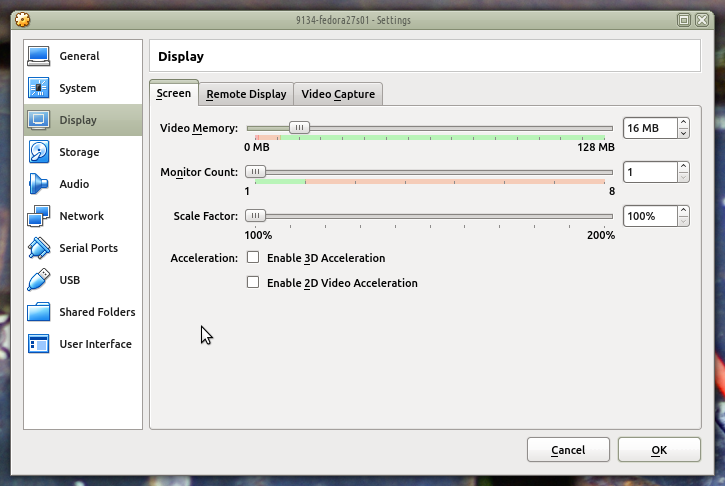 In this example, we've edited the start up script to request 2GB of memory. If you request more than the system will give you, the Java will give you an error and quit. Email support@candelatech.com if you have questions or need help. If your LANforge boots into Emergency Mode, your system is experiencing file-system corruption. 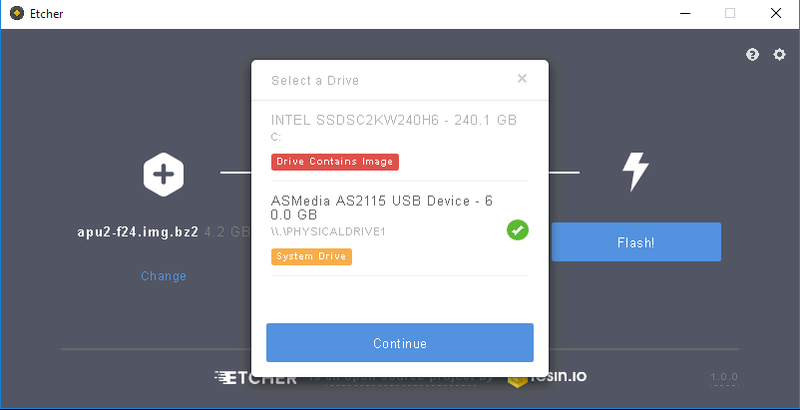 Follow these instructions to check the filesystems. This process will require a monitor and keyboard or a serial cable connected to the LANforge. The messages beforehand that begin with [ OK ] can be ignored. 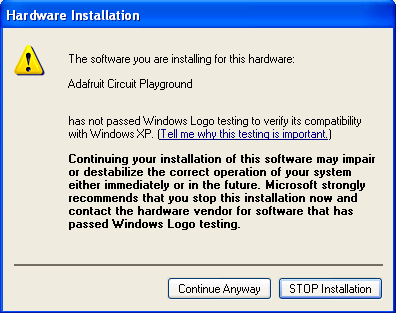 Messages beginning with ath10k_pci can be ignored. Note that inspecting /etc/fstab often does not show you device partitions, rather it shows you volume or partition UUIDs. Notice that /boot is typically not a LVM volume. 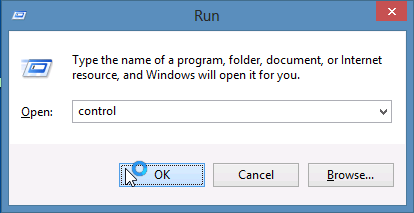 We assume you'll press the Enter key when executing the commands in further examples. 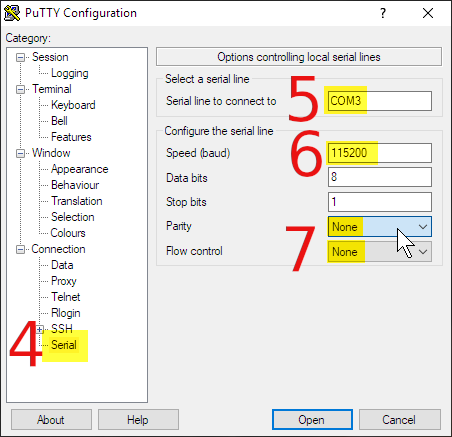 The commands below involve setting the 'mount count' parameter to 1. 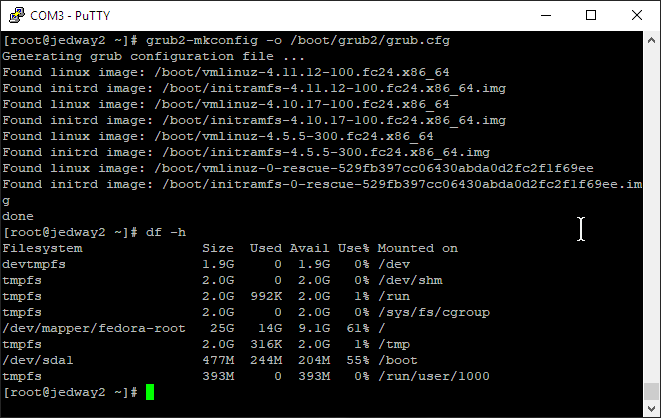 Every time the filesystem is mounted, it will perform a check. 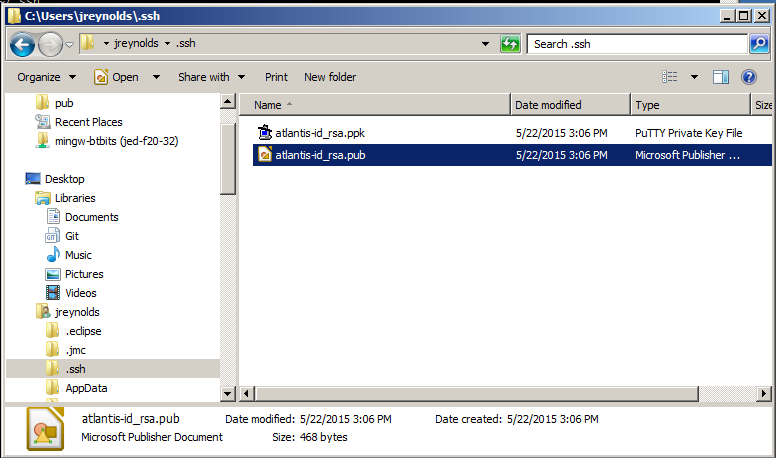 The following examples ensure that full journaling is enabled on the filesystem. This ensures the most amount of recovery. 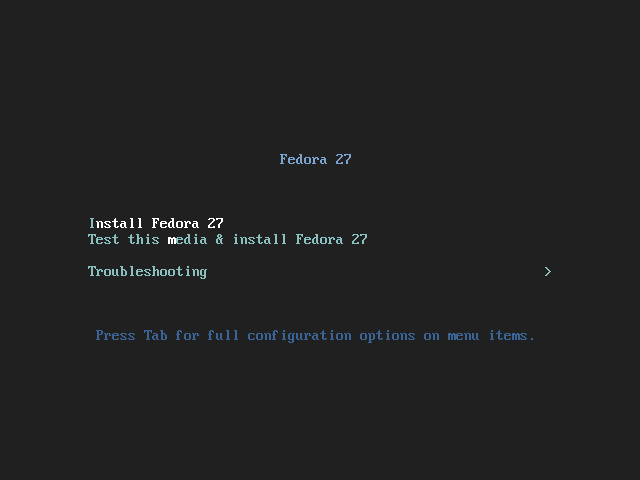 And after that, modern versions of Fedora have metadata checksumming available. Older LANforge systems do not have this. The filesystems do not need to be unmounted to set this parameter. 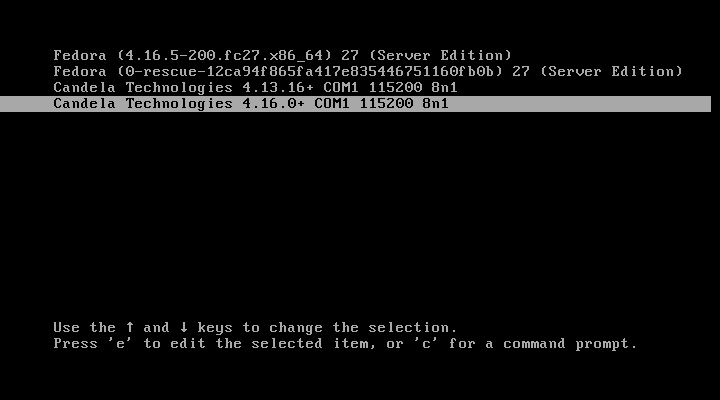 Only the partition example is shown, the volumes example uses similar commands. The filesystems do not need to be unmounted to set this parameter. 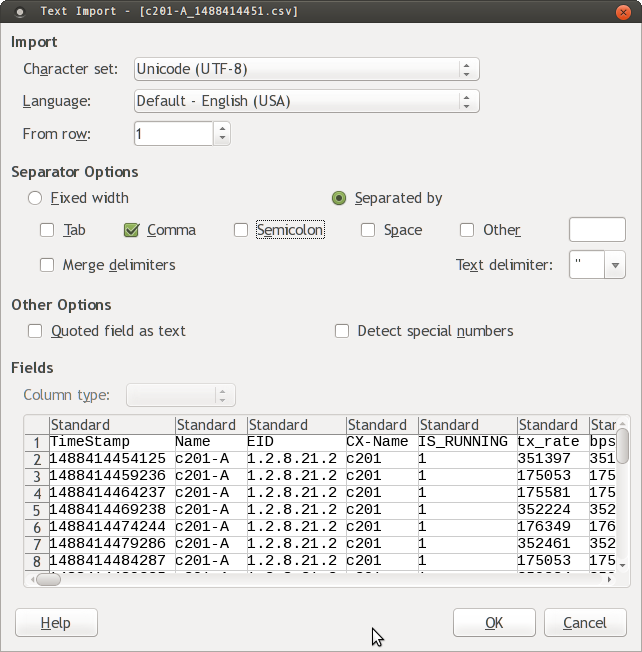 The commands for the volumes version is similar to the partition example below. 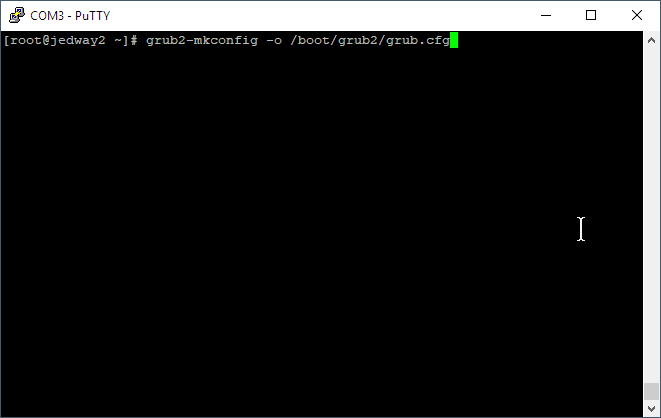 Notice the fstab entry for /boot? It has overridden the data journaling mode. 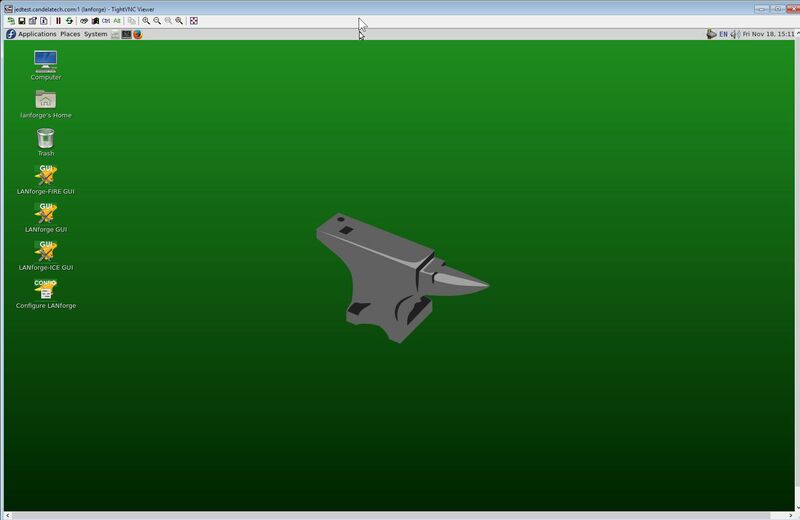 Erase that setting from the fstab mount options. It is only practical to apply metadata checksumming in the below conditions. You will not be able to apply it to the root filesystem / because it cannot be unmounted when you boot the system. 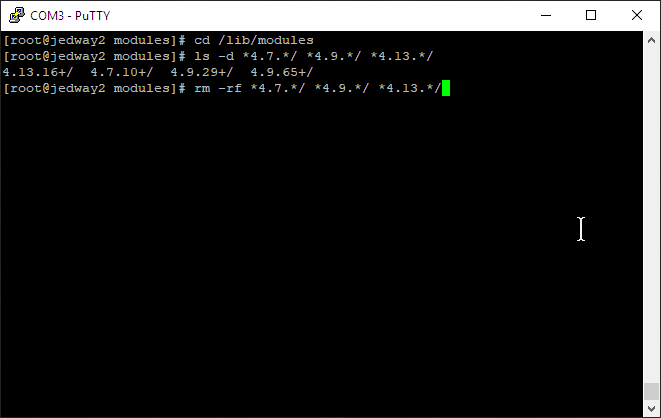 you can unmount the filesystem. Reboot system into Emergency Mode by appending the word emergency at the end of your grub boot option. 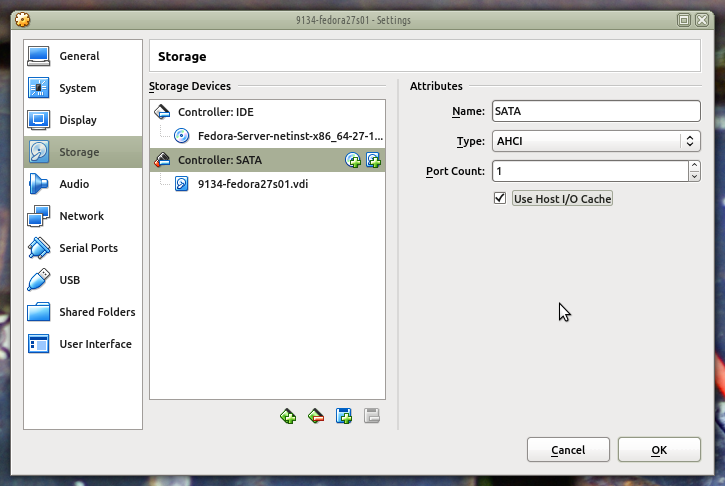 Drives typically ship with write caching enabled for a performance boost. SSDs have this as well. By turning it off you trade some performance for increased data safety. LANforge systems do not ship with write caching disabled. 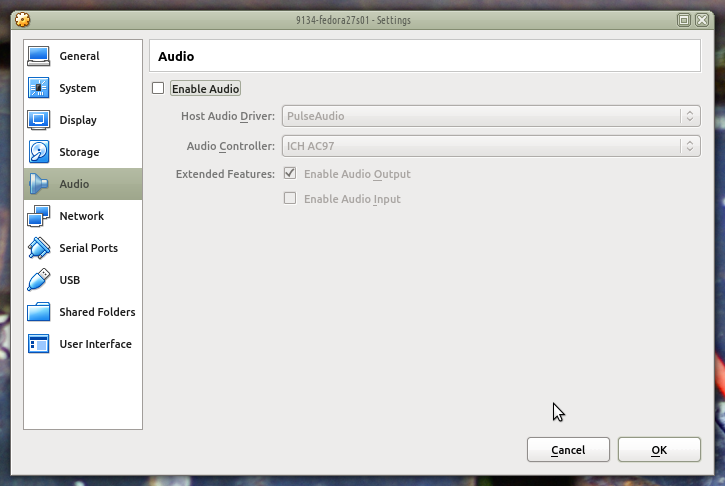 To make this setting enabled every boot, it needs to be added to /etc/rc.local. LANforge systems have rc-local.service enabled by defualt.